The future is now – pay for petrol, bills and dinner money through apps! 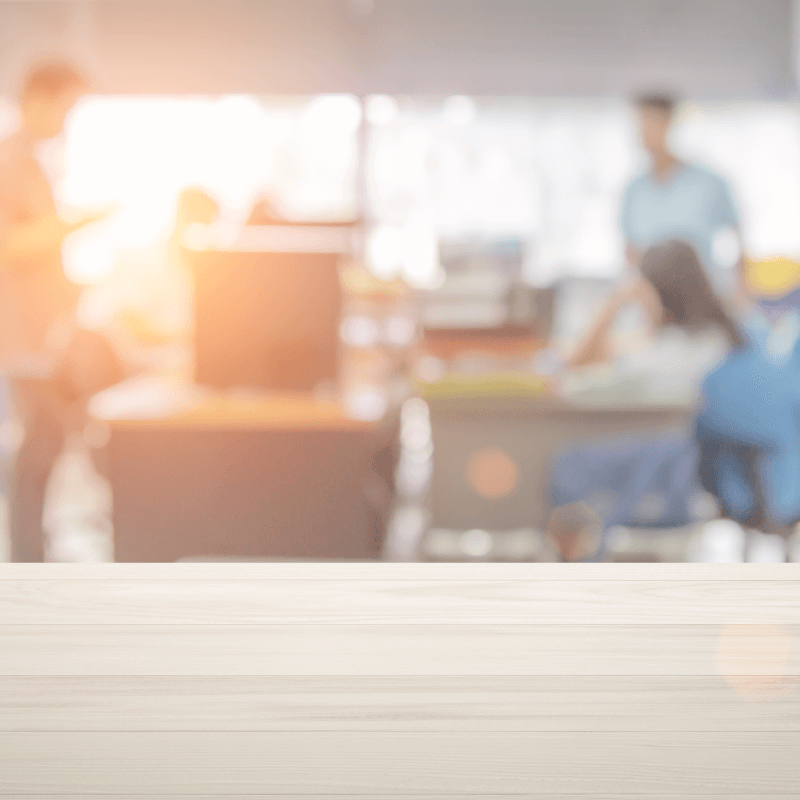 As more and more companies begin to accept contactless payments or transactions through an App, consumers are beginning to expect this in every walk of life. 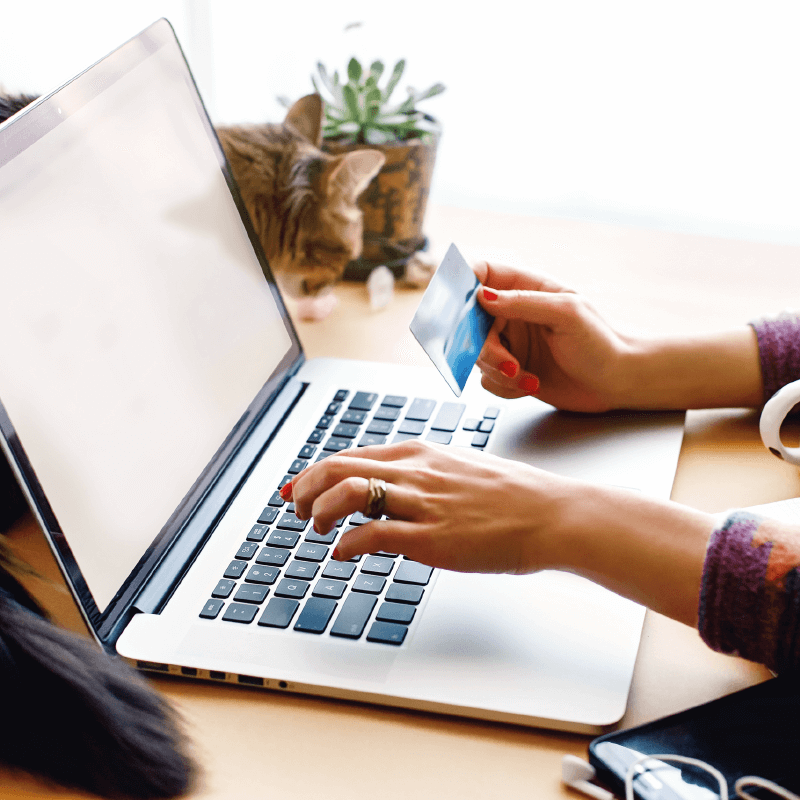 This year, we’ve seen many of the UK’s most innovative companies announce new ways in which customers can pay – making life easier for them by making the payments process slicker than ever before. 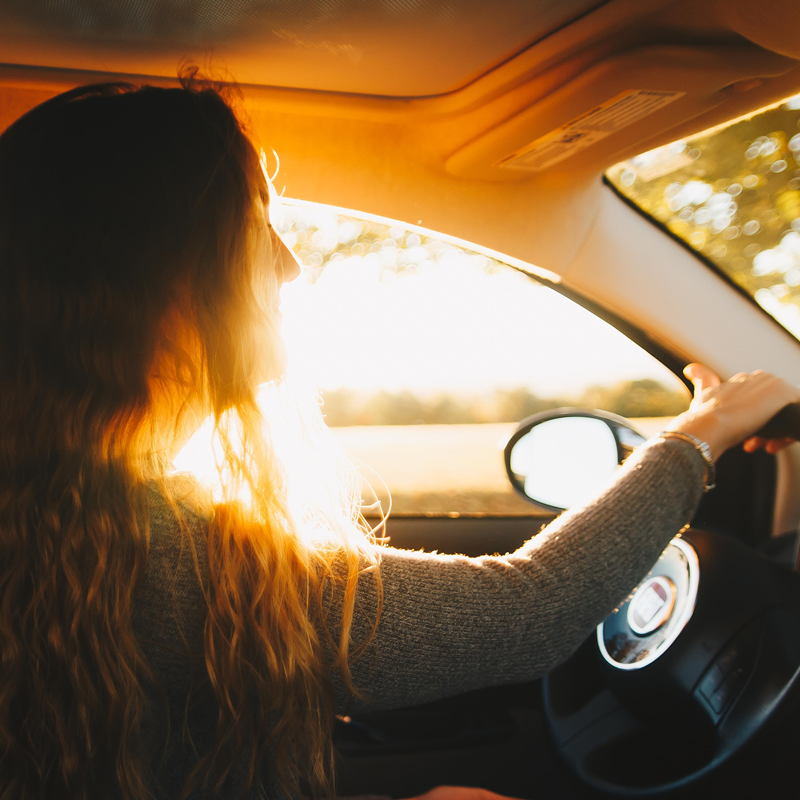 Shell, for example, have announced a new touchscreen method of paying for petrol without leaving your car, whilst supermarket giant Tesco have launched their all new contactless Clubcard and upgraded Clubcard app. What’s more, Britain’s well known pub chain Wetherspoon have launched their new app which allows people to pay from their table before their food arrives – meaning extra convenience for customers and time saved for staff. Whether it’s paying for your parking, paying your energy bills or topping up your child’s dinner money, we all want these processes to be as simple as possible and with more and more companies launching mobile app’s to allow you to do it in minutes, it couldn’t be easier. As well as convenience, being able to pay in this way means that you can keep better track of your spending, with all of your transactions tracked within your App’s. 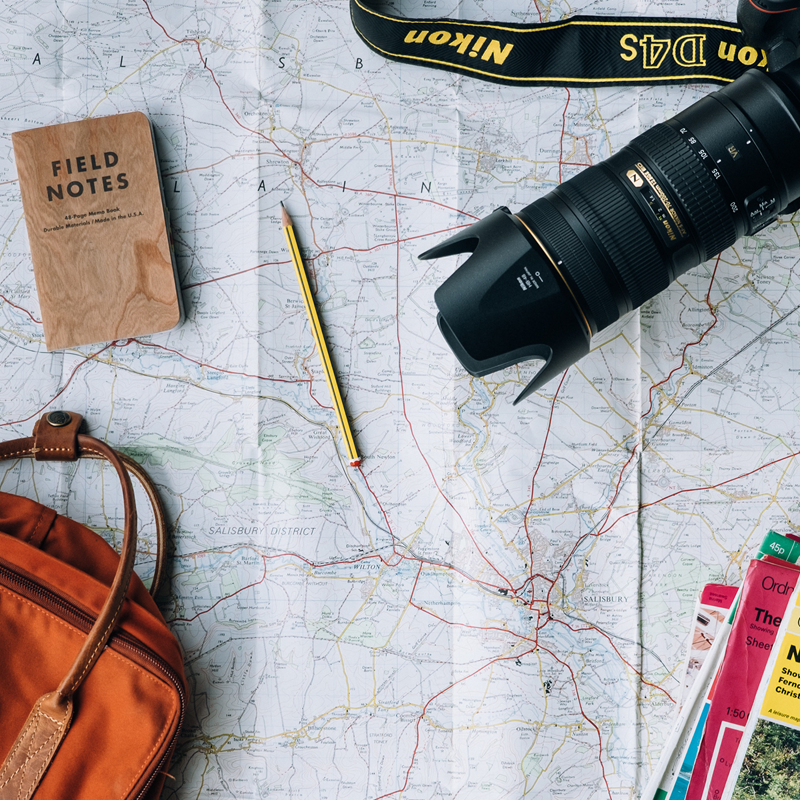 With cash, it’s easy to lose track of notes and coins, but by paying through your phone you’ve got it all to hand to check whenever you should need to. This makes budgeting and saving even easier and for families, this is a key benefit. 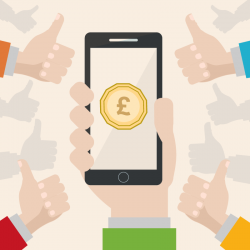 Here at ParentMail, we pride ourselves on staying at the front of innovation, which is why our mobile app allows parents to top up dinner money, pay for school trips or buy uniform through a few simple taps! This means they don’t need to have access to a computer, or wait till they’re at home to make a payment, as they can do it instantly wherever they are! What does this mean for schools? 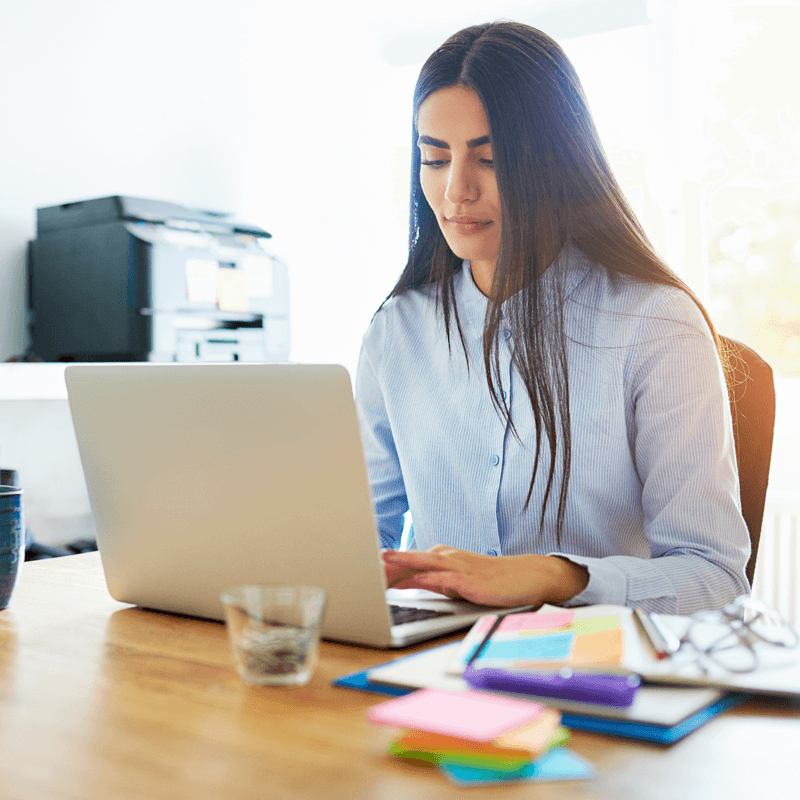 It’s been proven that by making it easier for parents to pay, payments are made quicker and therefore schools can keep on top of their payments with minimal administration work. Our system has automatic reminders in place for when dinner money becomes low which means chasing parents for payments is a thing of the past! 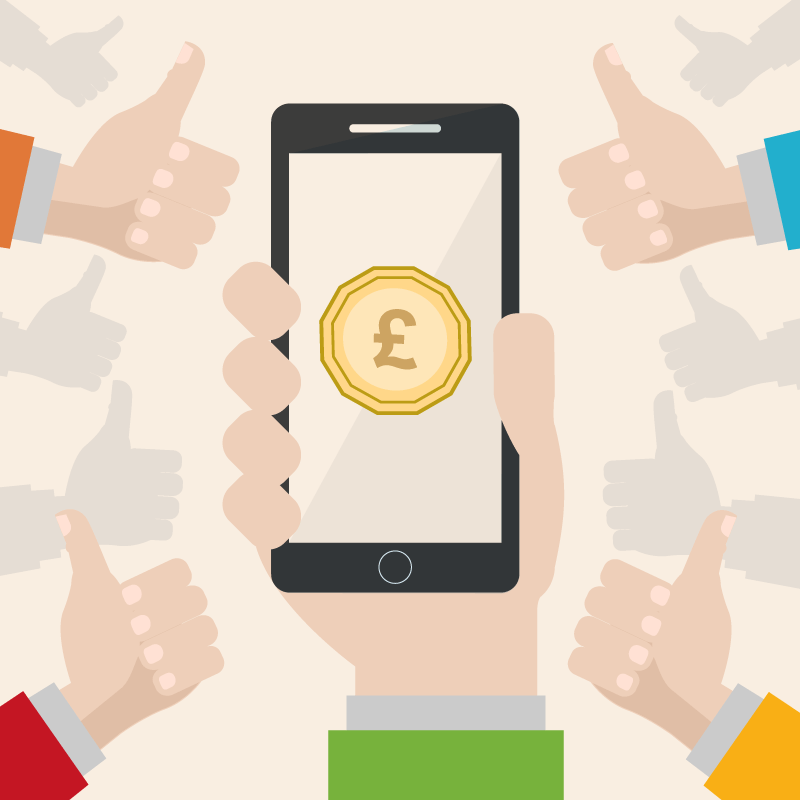 What does paying on a mobile App mean to parents? Popular payment provider PayPal – the choice for busy parents! Parents love the ParentMail App! 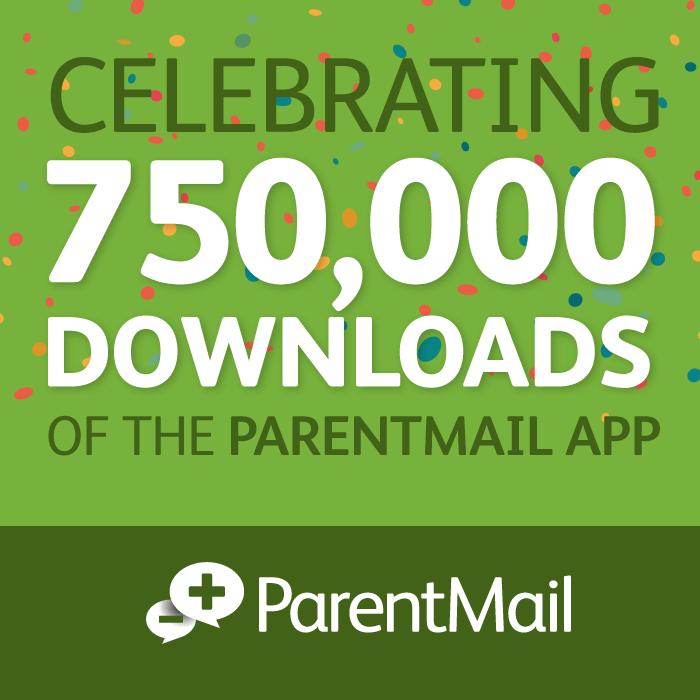 Celebrating 750,000 downloads of the ParentMail App! 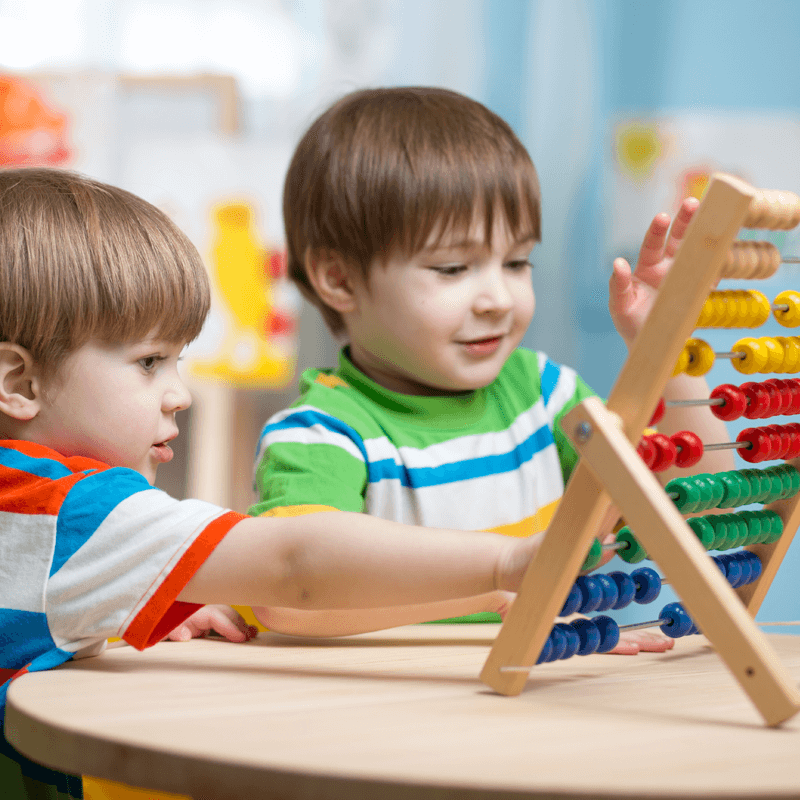 More schools are saving money and more parents are getting instant information than ever before! 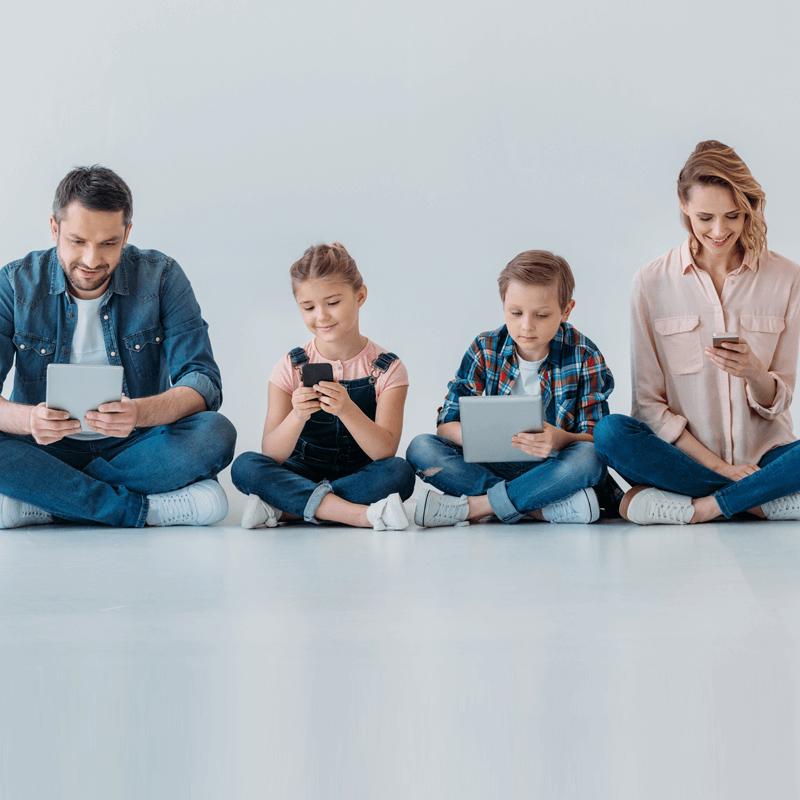 Communication systems: counter-productive to parental engagement? Is this approach counter-productive to improving parental engagement? Over the last few years, the way we pay for things has changed dramatically, from cash and cheques, to debit and credit card and most recently to cashless, mobile and contactless payments. Sacred Heart Catholic Primary School lead the way with +Pay! 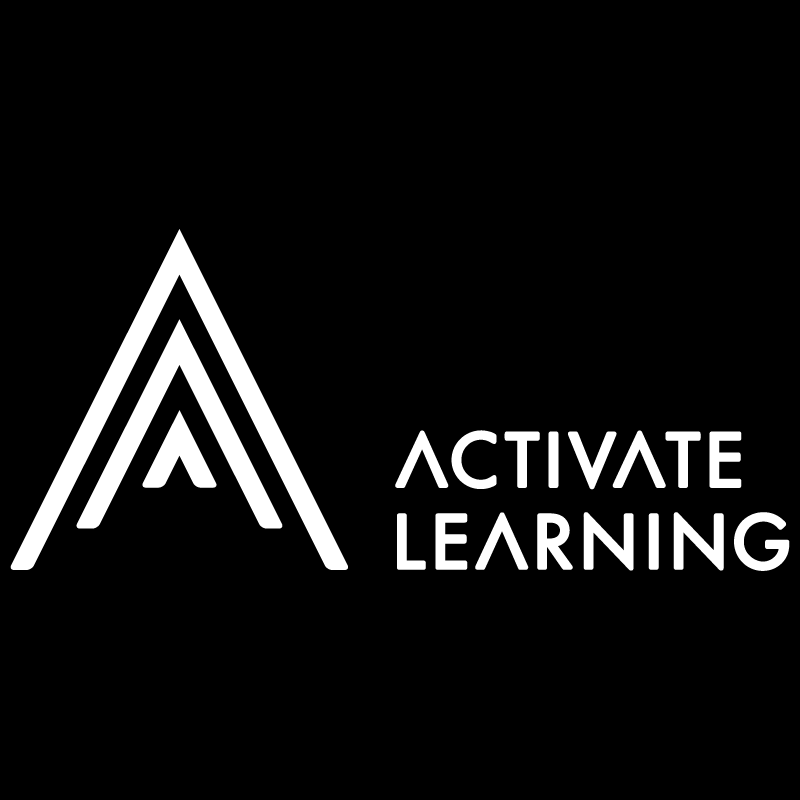 The eight-school Multi Academy Company set out on a mission to go cashless to reduce school debt and support parents with easy online payments! What’s more convenient than cashless? 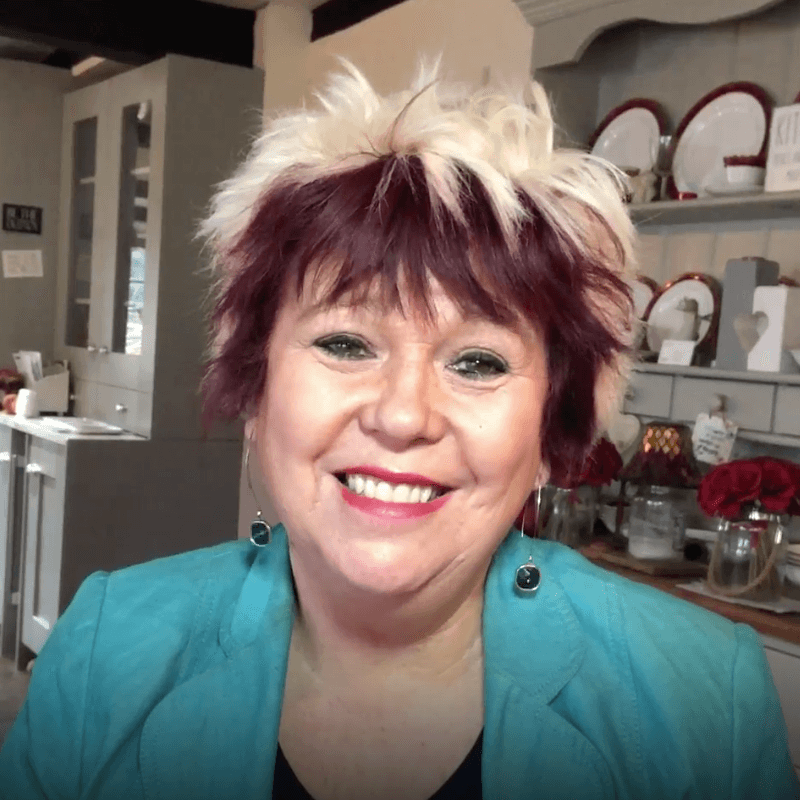 In our latest video, Sue Atkins discusses why cashless payments are so much easier for busy parents on the go! 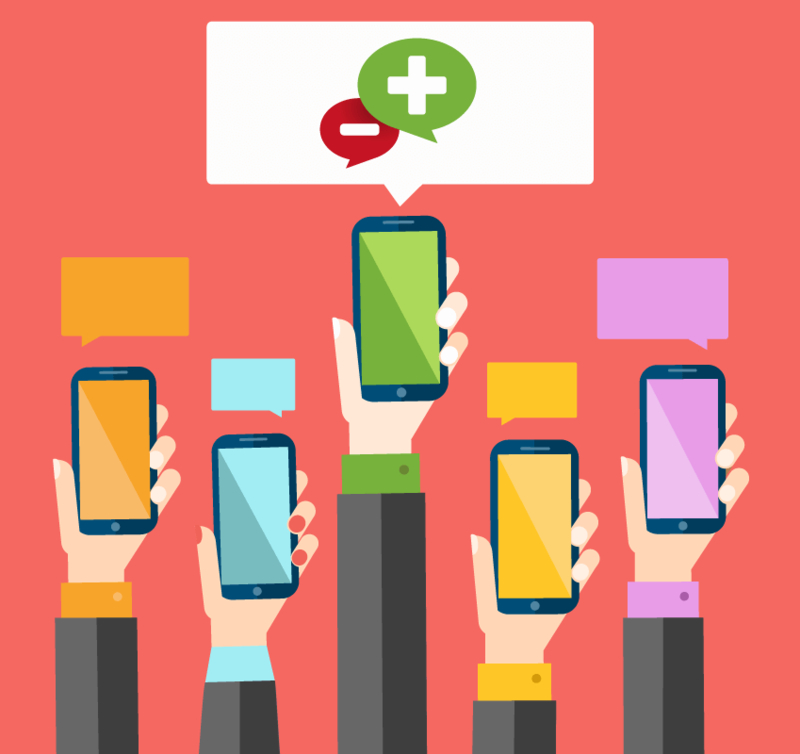 Are mobile apps the future of school communications? 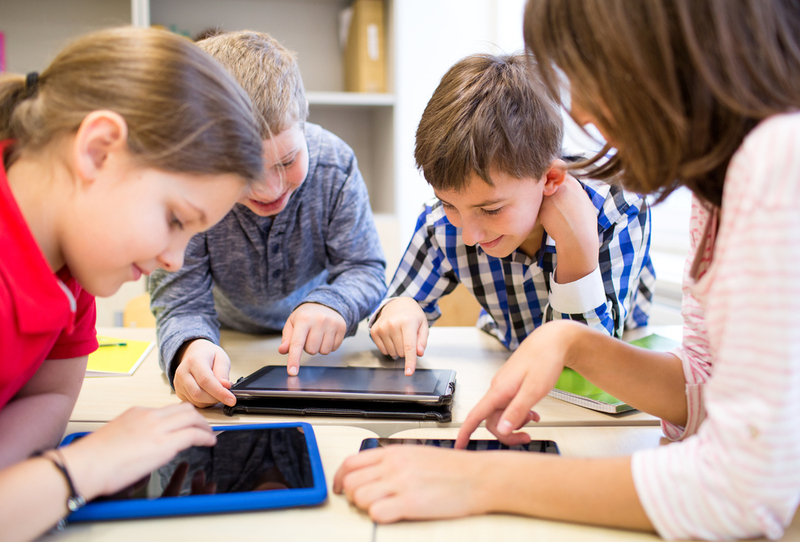 School apps are becoming increasingly popular from early years through to secondary as a way of encouraging parents to invest their time into their child’s school life when it is most convenient for them. Are we becoming tired of the text? When parents and schools have a strong relationship, teachers experience the positive effects in the classroom and are empowered to support their students. App-solutely brilliant – our mobile app has been updated! 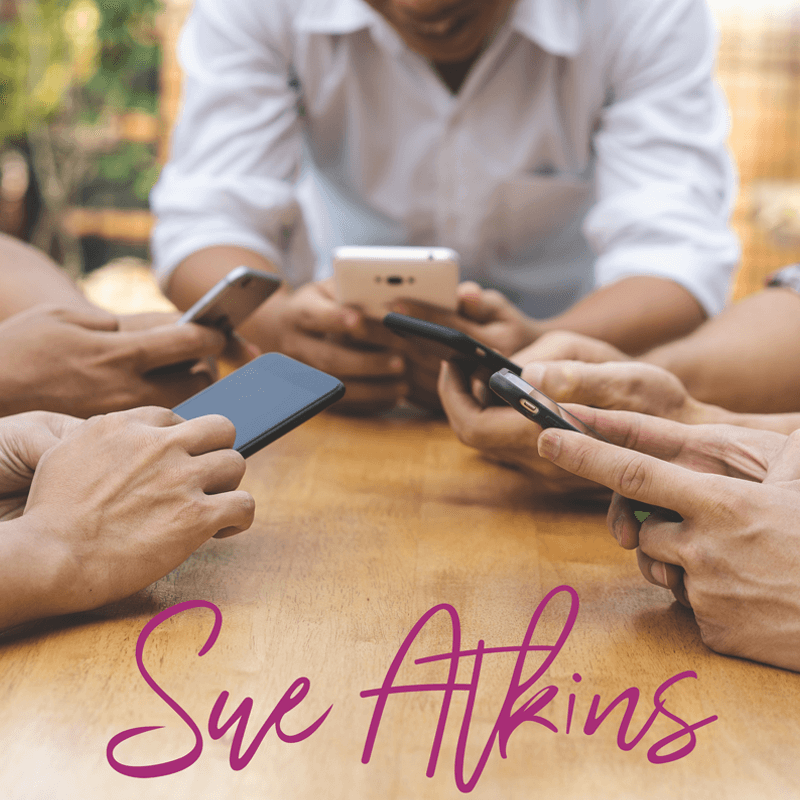 In this video, Sue Atkins – parenting expert and ex-Headteacher – gives her views on how parental engagement software can keep communication between school and parent clear, whilst keeping all data safe. 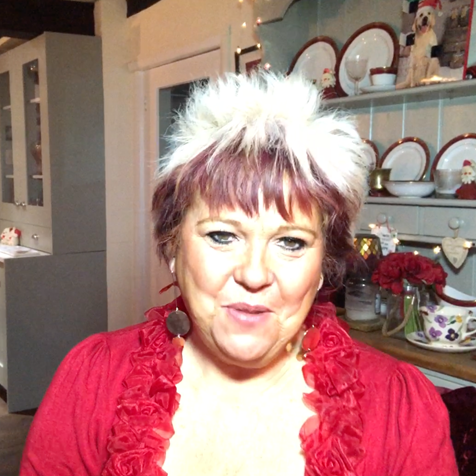 Christmas is hectic, but technology can make life easier! 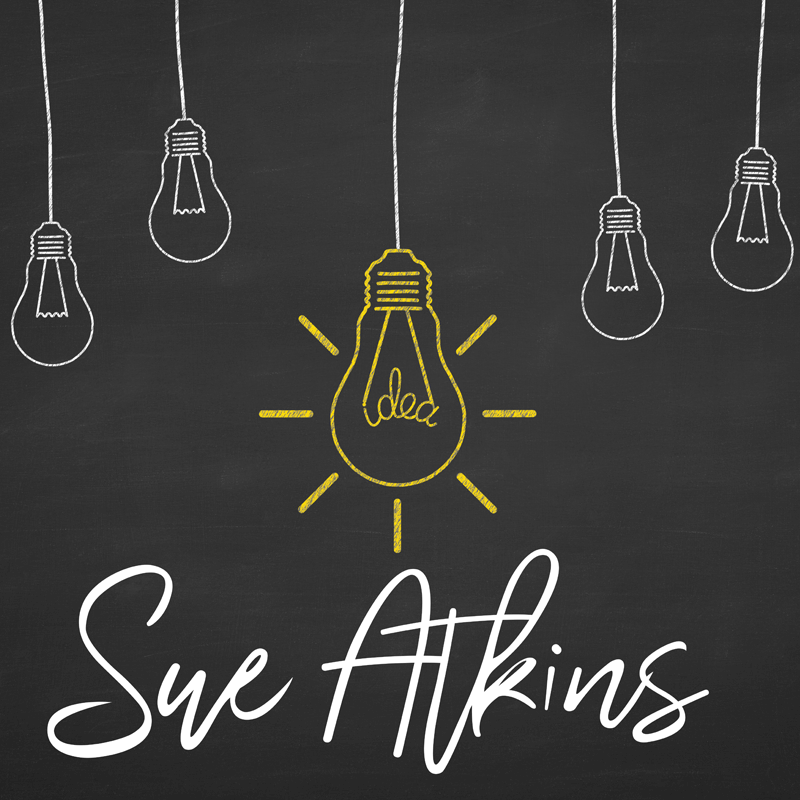 Watch our video to see why parenting expert Sue Atkins recommends using technology in school to help make life just a little bit easier for parents around Christmas! 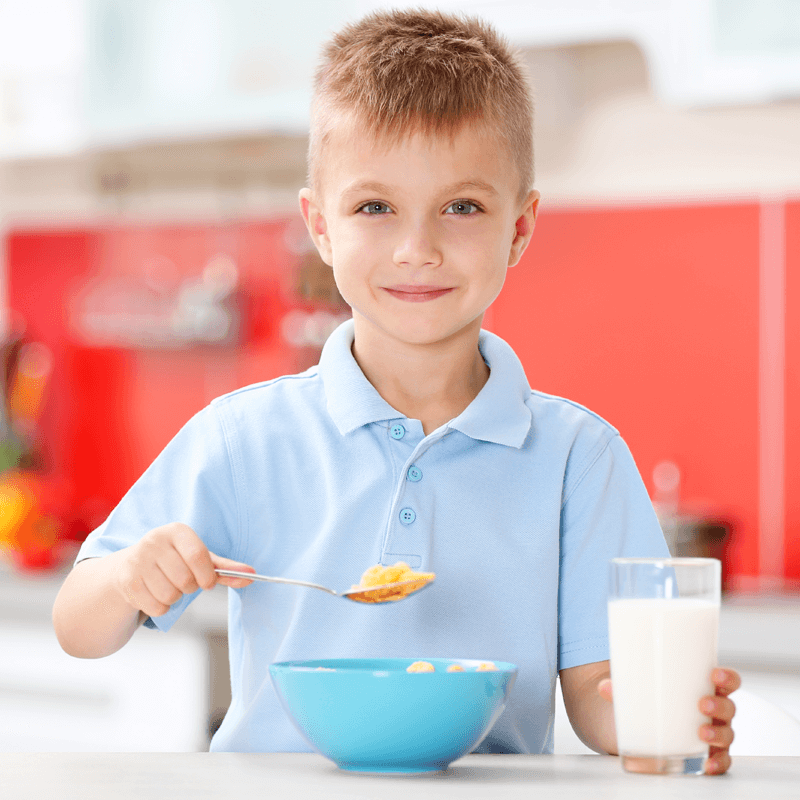 The benefits of breakfast clubs – ParentMail’s top picks! Meet Abbey Catholic Primary School’s ‘ParentMail King’! 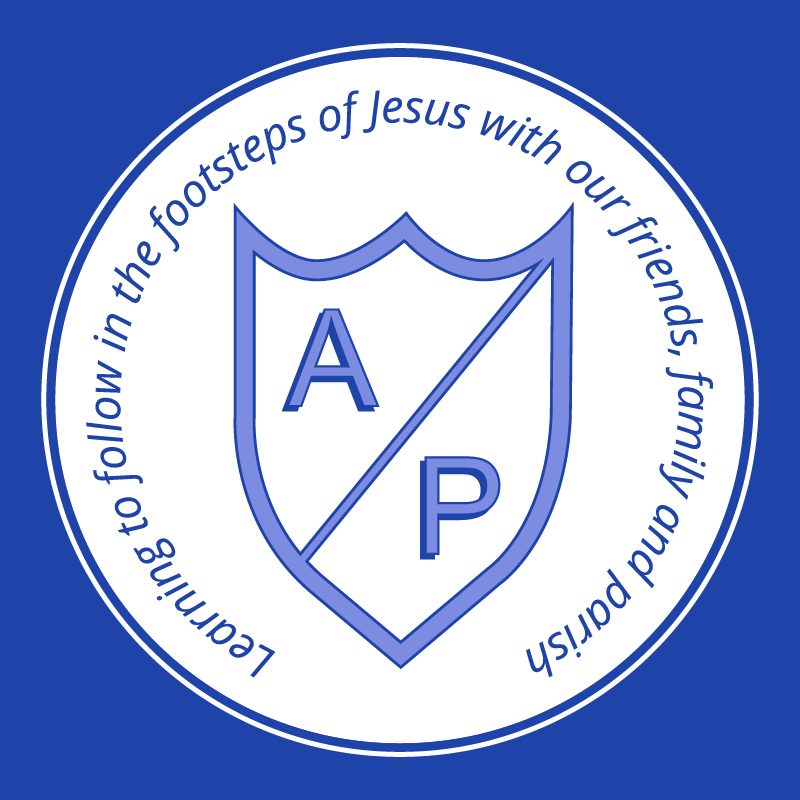 Staff at Abbey Catholic Primary School have been on a campaign to register parents to ParentMail and their efforts have received a fantastic response, with 99% of parents using ParentMail to stay up to date on school communications and payments, every day! 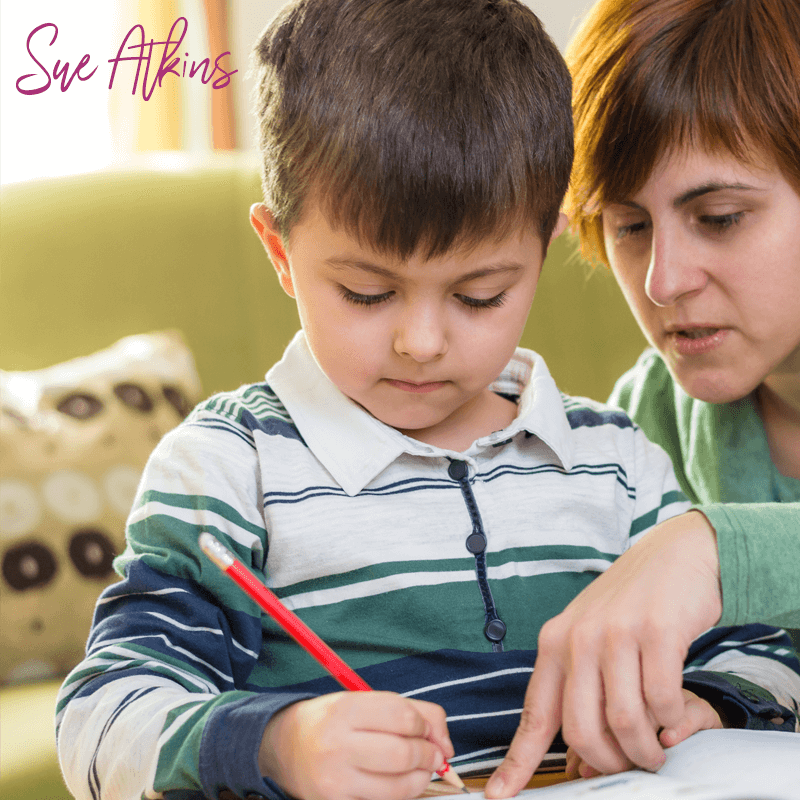 Top Tips for productive parents’ evening appointments! 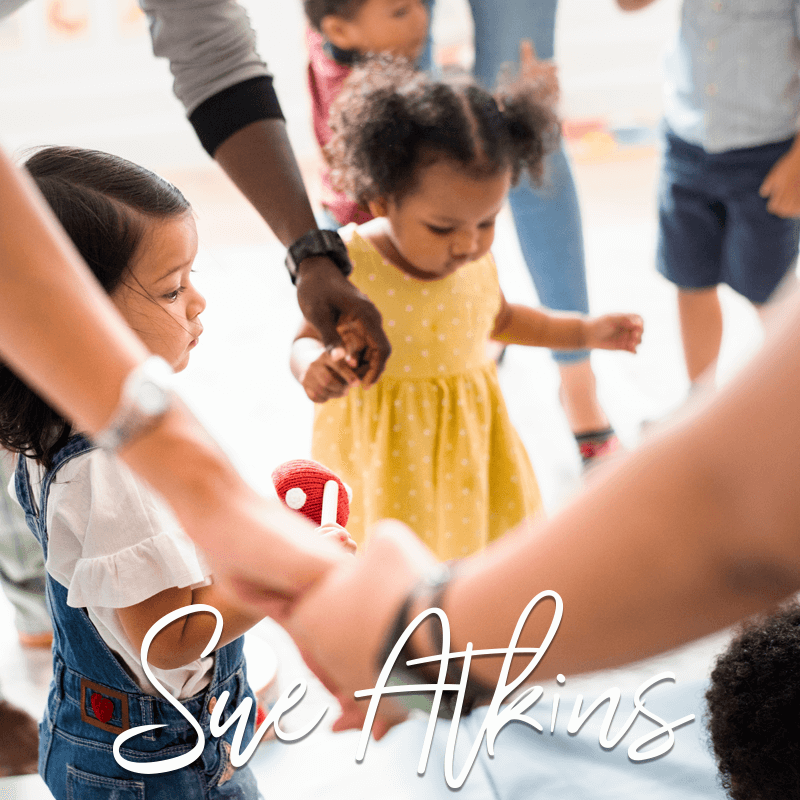 Parents’ evening is a very important part of the relationship that parents develop with the school and their child’s teacher, whether it is their first experience, or they have attended before. 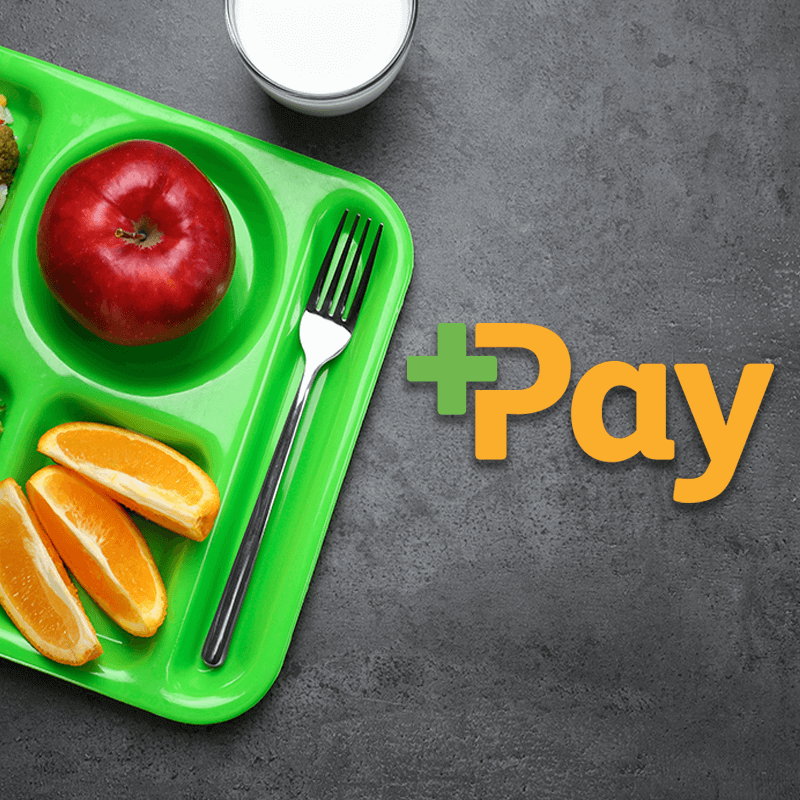 Thousands of schools are using +Pay every day to collect cashless dinner money payments and are enjoying reduced dinner money debt as a result. This week, the chancellor delivered his 2018 Budget in which he announced an extra £400 million capital funding for schools this year, effective immediately. School is now in full swing, and so the next big milestone is Parents’ Evening and organising it successfully is no mean feat! 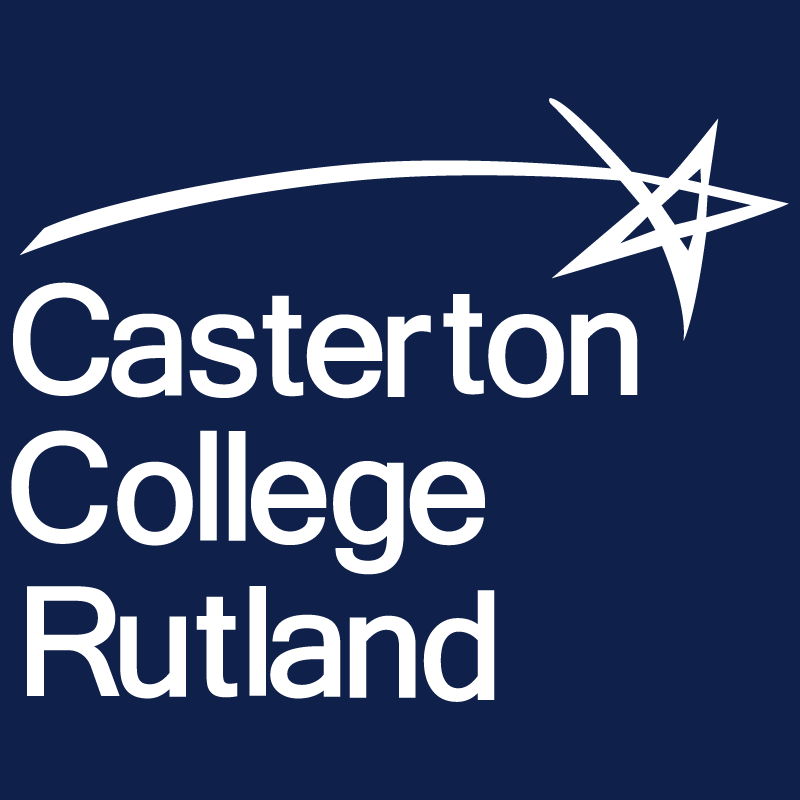 Casterton College switch to +Pay and are thrilled with the results! 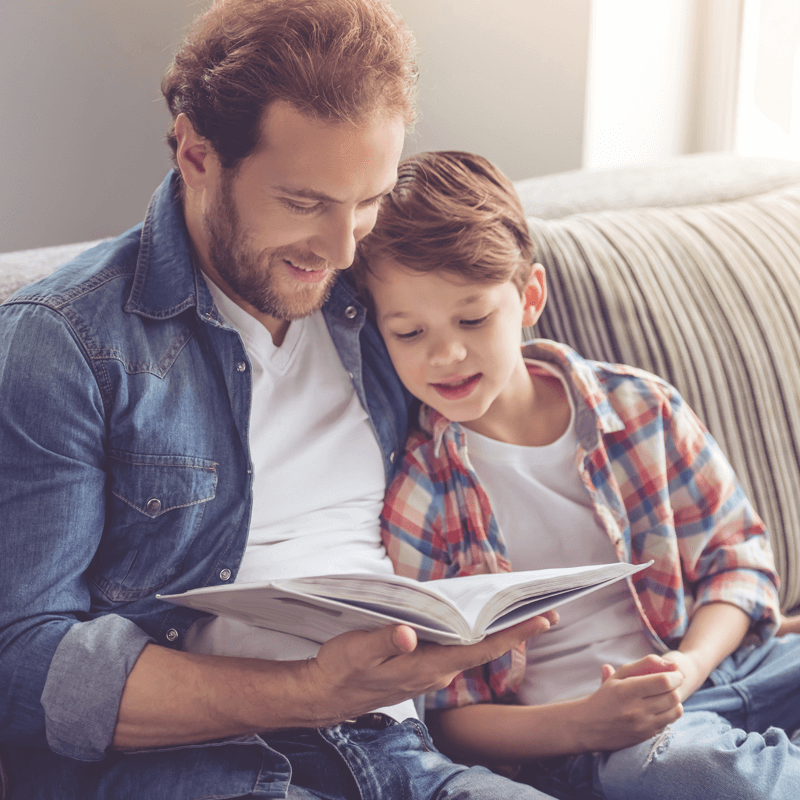 Top tips for parental engagement success! Experience tells us that when parents are happy with their ParentMail experience, schools receive a great response to their communications. So over the past few months, we have been working hard to improve our Android App! 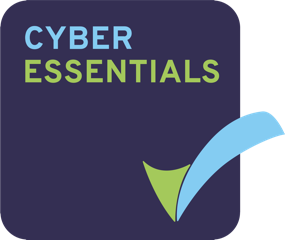 We understand the importance of protecting the data of your parents, students and staff. 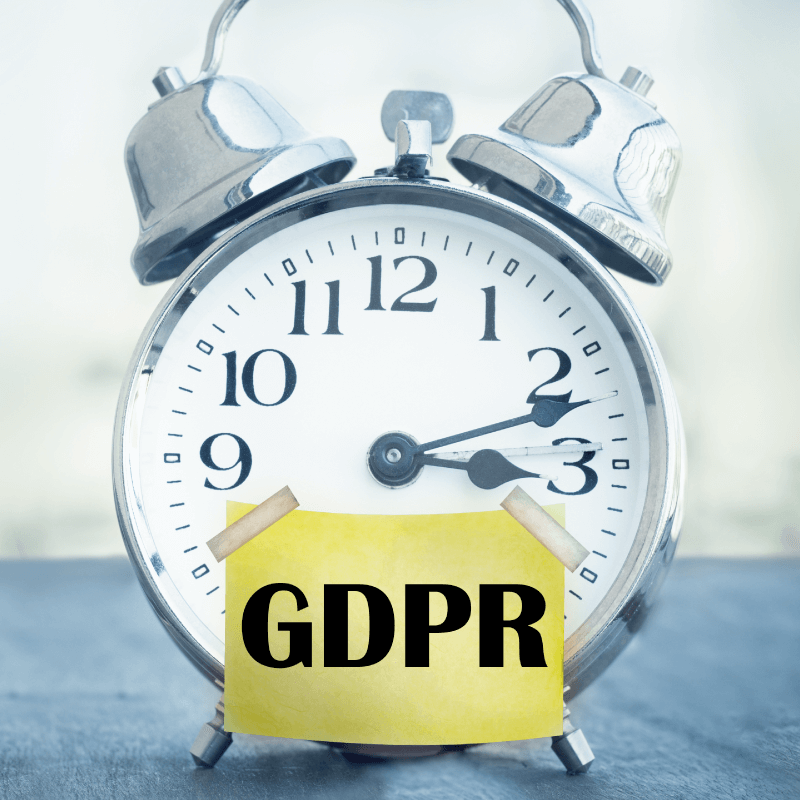 That’s why the ParentMail team have been working hard to lead the way in GDPR compliance! 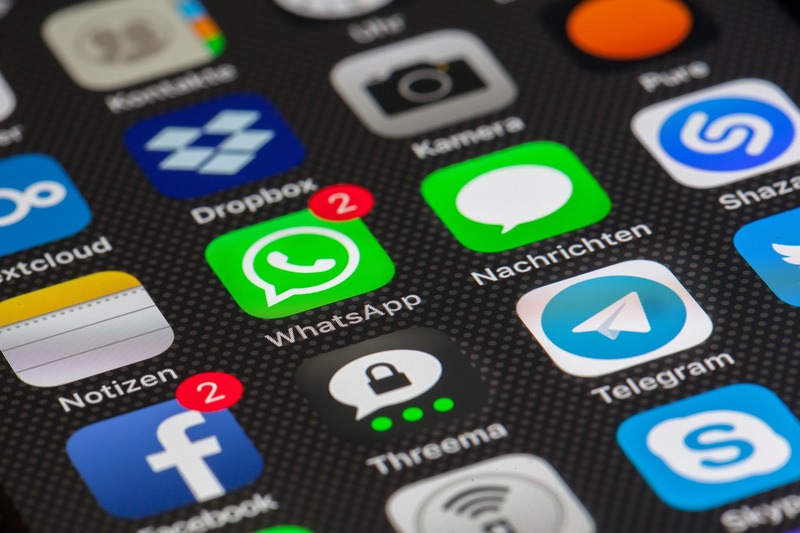 New technology is hot on the heels of the humble text with the growing market of instant messaging services; our Messaging App gives schools the best combination of flexibility and functionality. 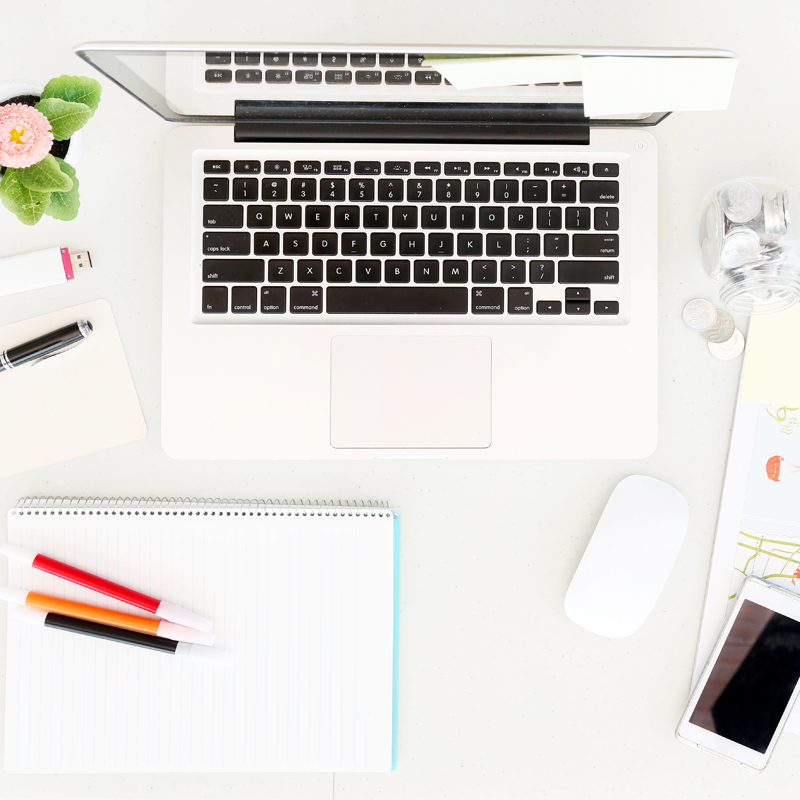 Support student learning and strengthen your school brand with an Online School Shop! 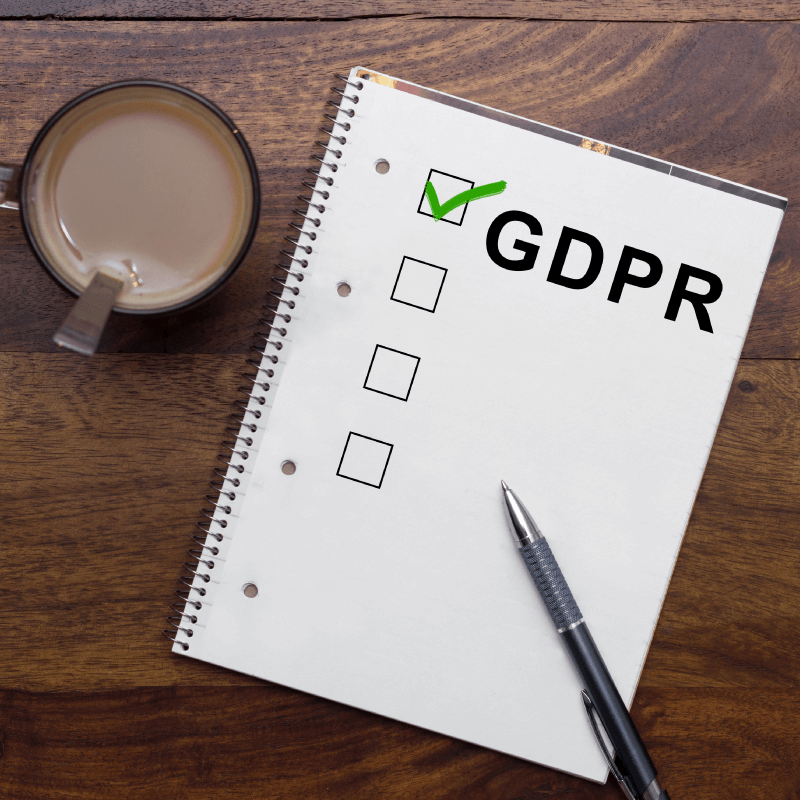 Whether your school is a primary or secondary school, nursery, academy or part of a multi-academy trust, the General Data Protection Regulation (GDPR) will apply to you from 25 May 2018. The more parents registered with ParentMail, the more your school will benefit from reduced admin time, print costs and more. 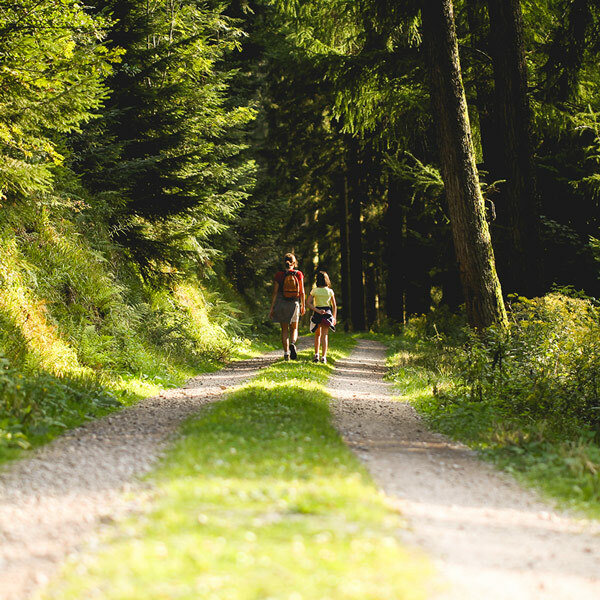 It can seem like quite a daunting task to get all of your parents registered but we are here to help make the process easier. 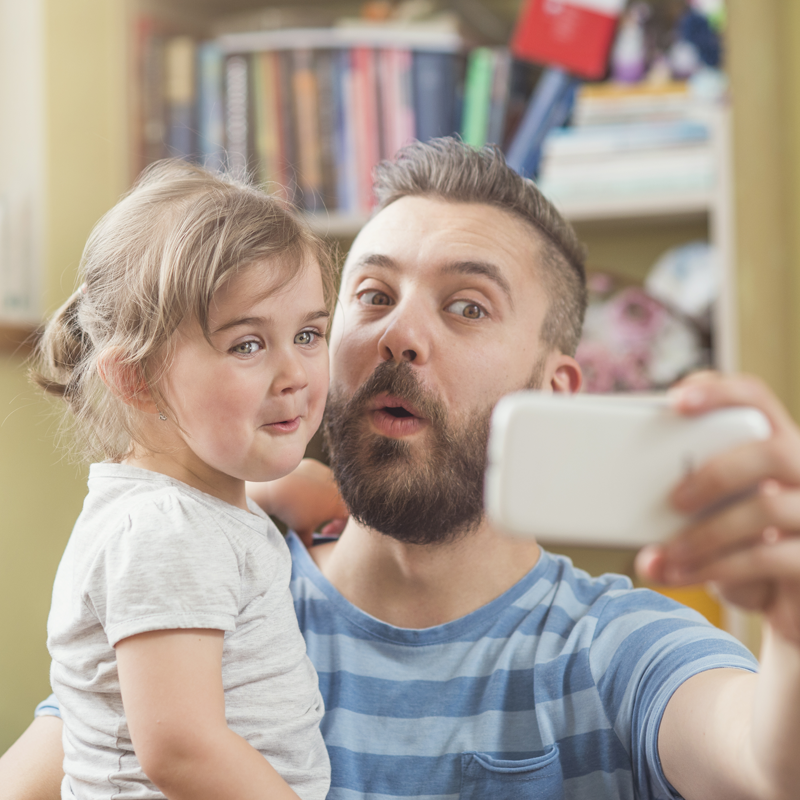 Do your school communications reflect the changing habits of parents? 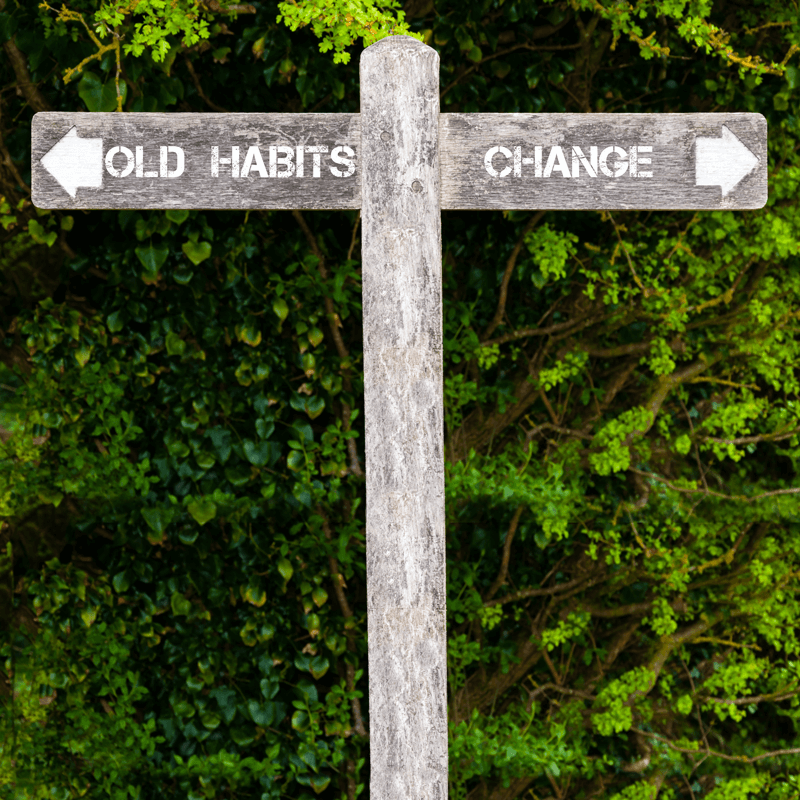 Parent habits are changing. 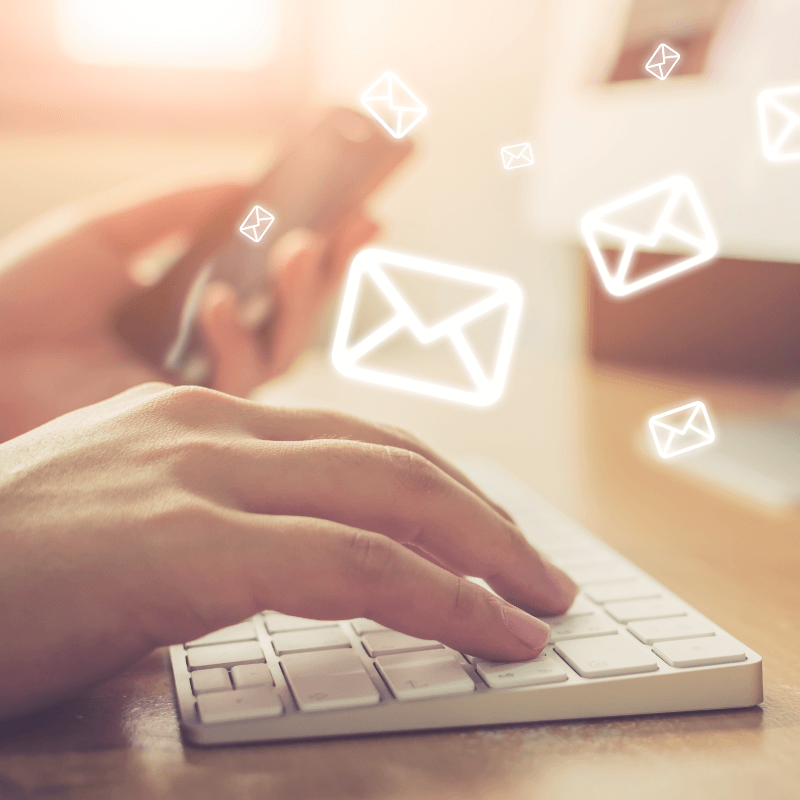 No longer are parents digging through school bags to discover out of date, crumpled newsletters; receiving a poor response to your school communications is a thing of the past, too! Times are changing and ParentMail are leading the way with innovative services to improve parental engagement. The days of waiting on the phone for a customer service advisor to take your call are long gone at ParentMail. 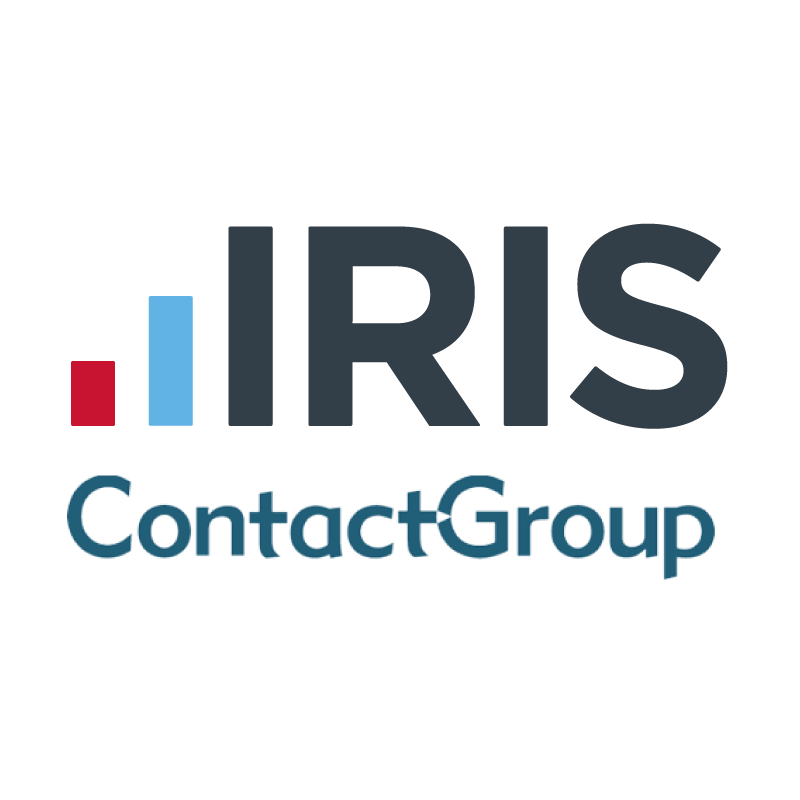 Help is at hand almost instantly with our fantastic and friendly Live Chat service! 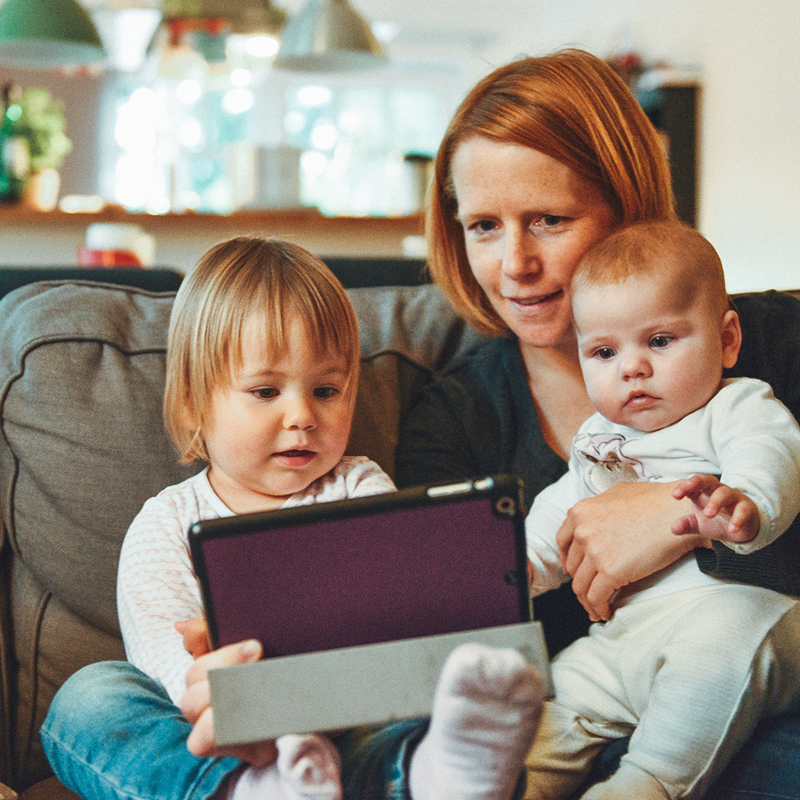 With thousands of nurseries, primary and secondary schools now using our cashless Online Payment System to receive and process payments, experience tells us that parents are only too happy to make payments online! 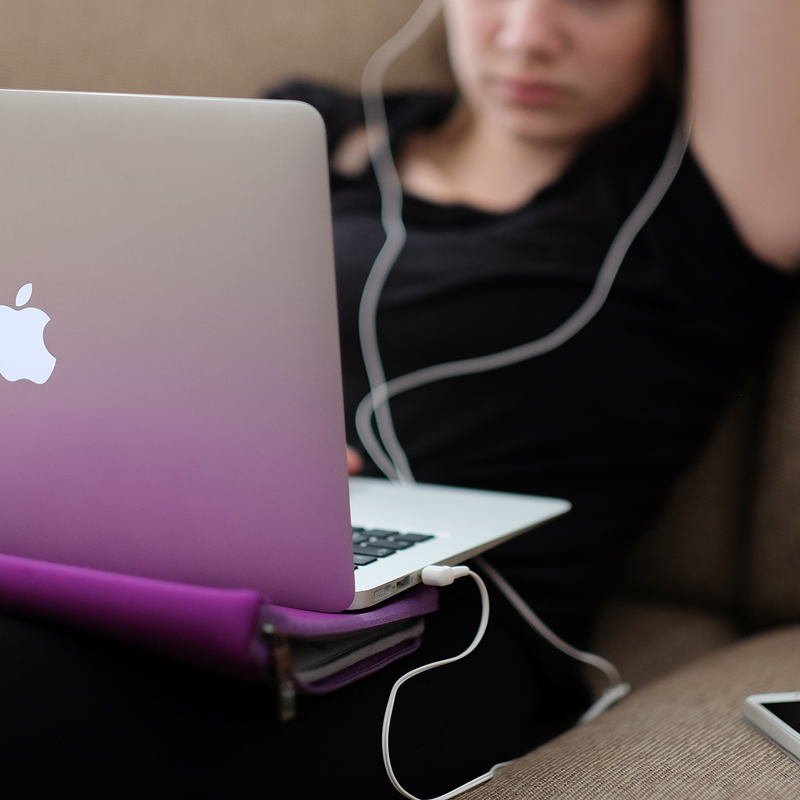 Although a brilliant resource for education, creativity and communications, it is increasingly important that we teach young people how to use the internet safely and responsibly. 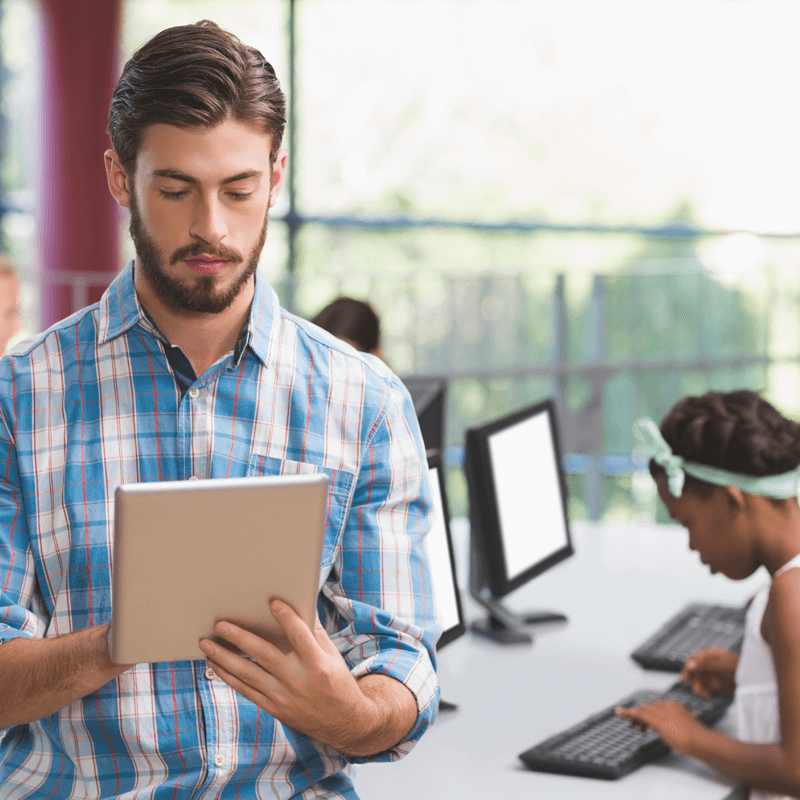 How important is security in your school? 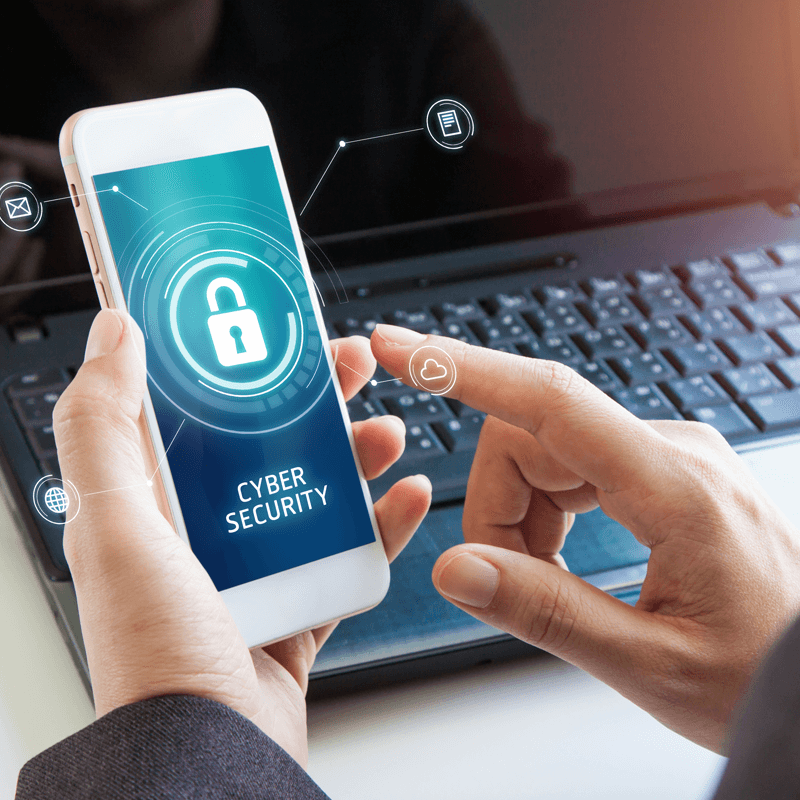 Cyber security has never been more important than in today’s digital world. With Parents’ Evening just around the corner, now is the time to introduce Parents’ Evening Manager! We are all connected – and communications have never been stronger. The question is, how does your school utilise these new technologies to strengthen school/parent engagement? 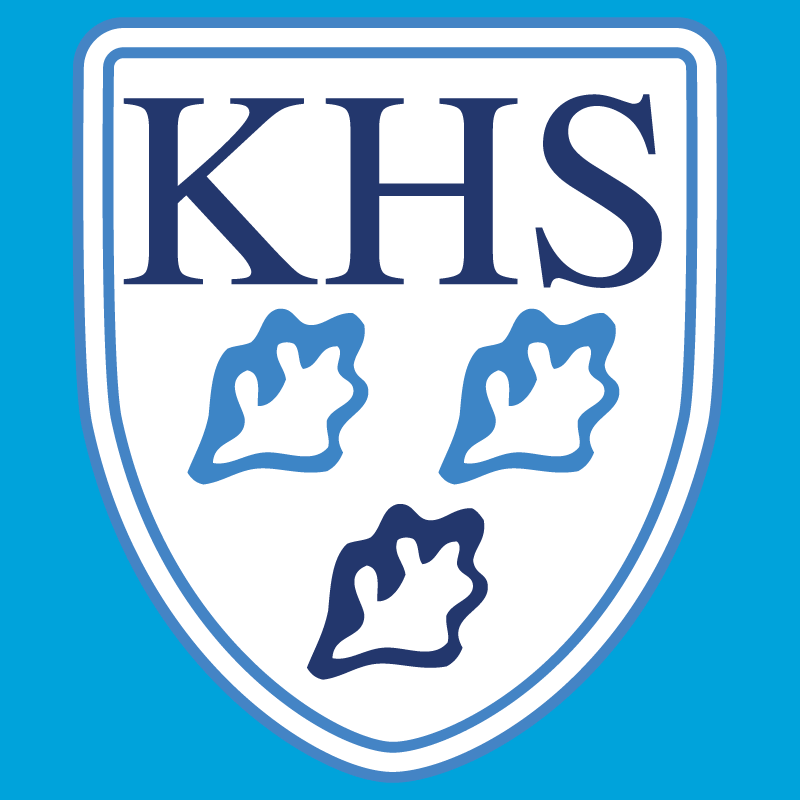 Kesgrave and ParentMail partner to deliver first-class parental engagement! 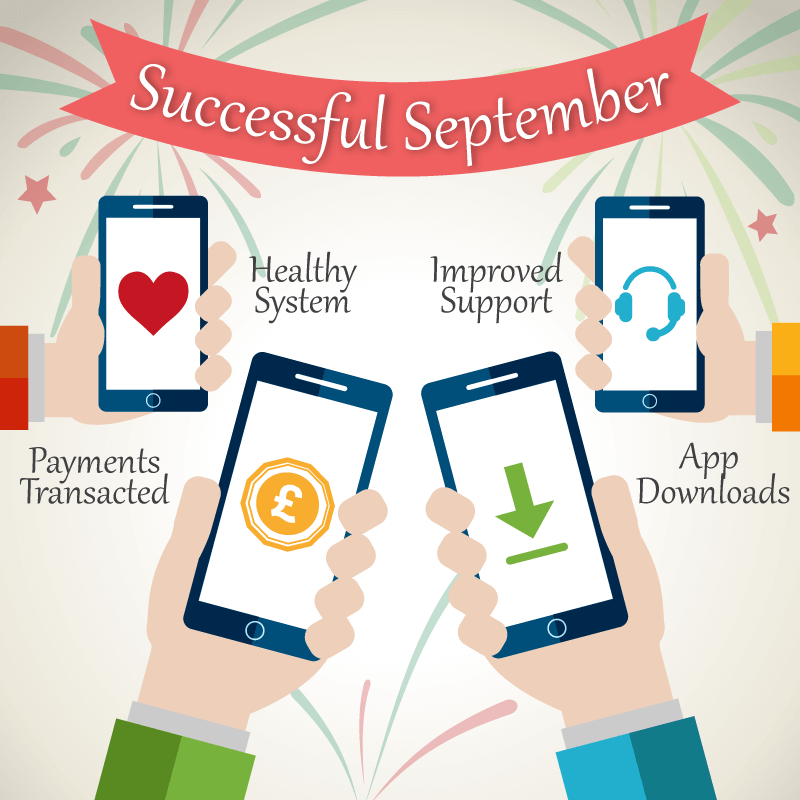 70% of parents think a mobile app makes it easier to pay! With over 5,000 students across all campuses, communicating home was not only a time consuming task but also incredibly expensive! 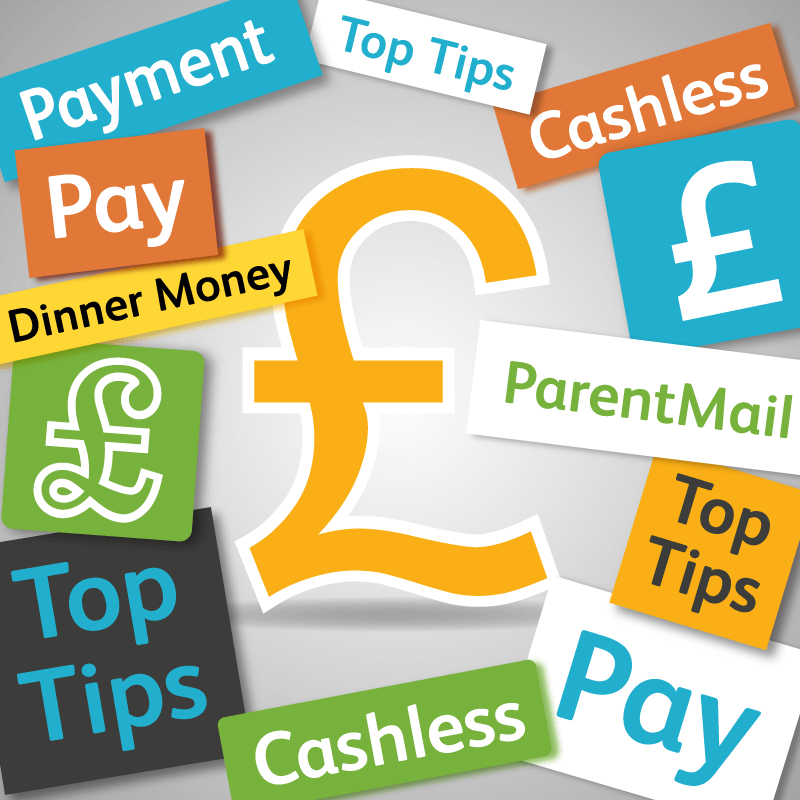 Top Tips for going Cashless! Dinner money top up revolutionised at Leicester Grammar School Trust! 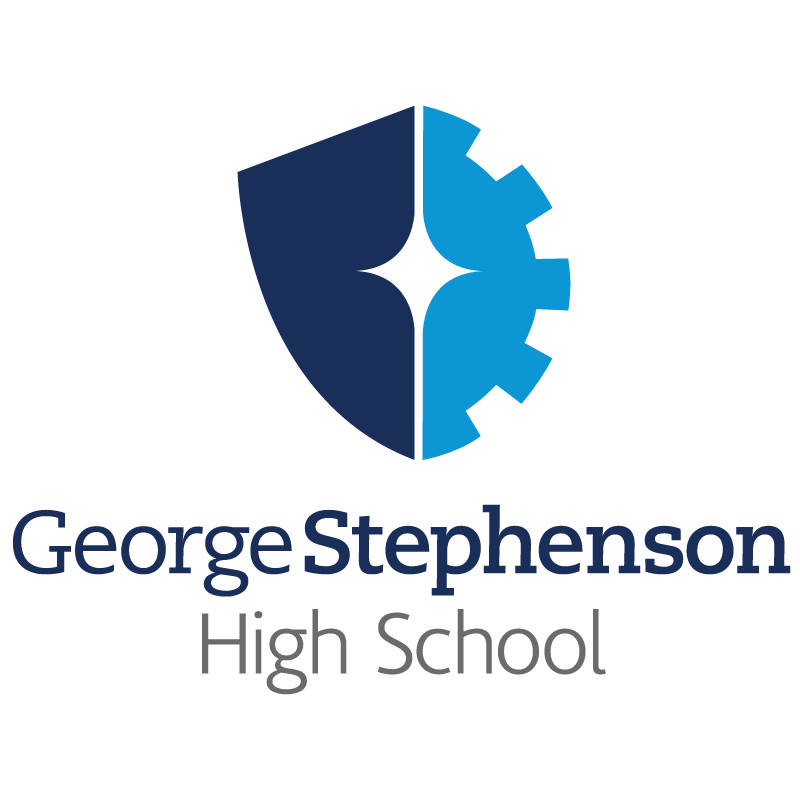 George Stephenson High School gets creative! Now communicating with their parents regularly and collecting online payments with ease! Ditch the paper and feel greater! 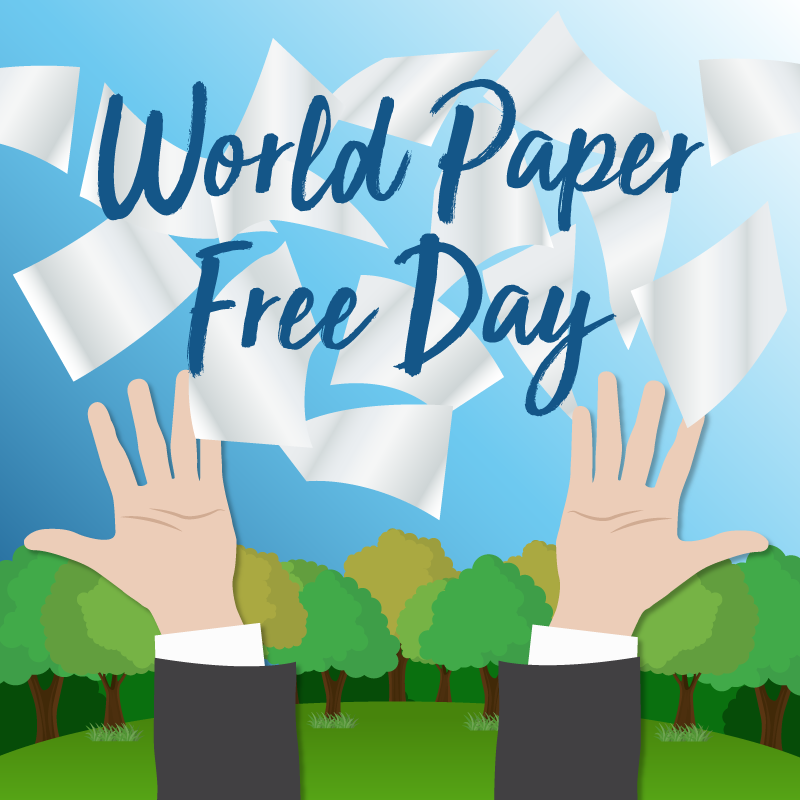 Will you be celebrating World Paper Free Day this November? 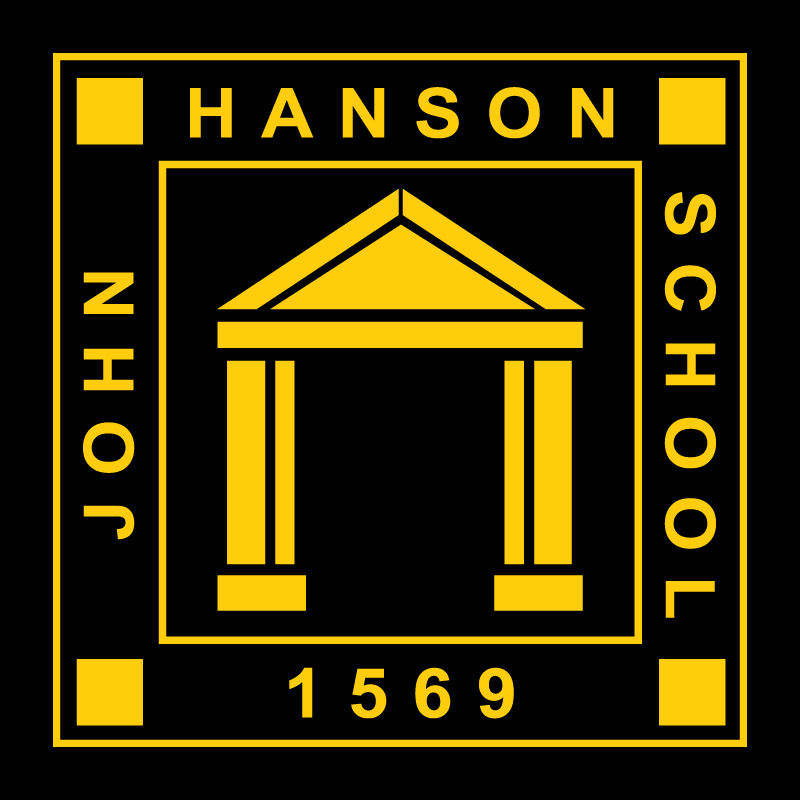 Switch to ParentMail and reap the benefits, says John Hanson School! 174 parents booked their parents’ evening appointments within the first hour! 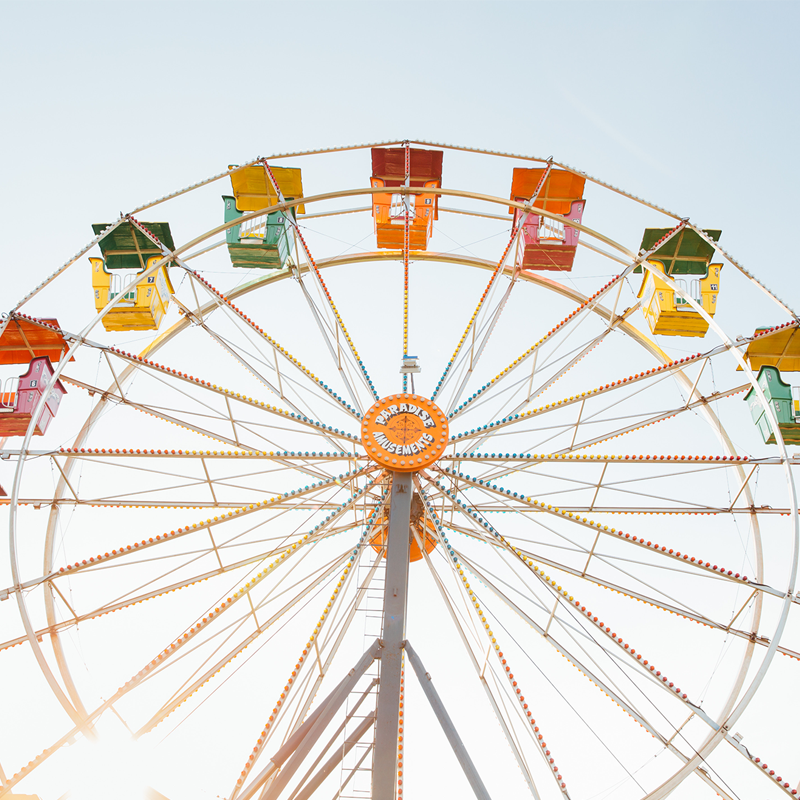 We can’t quite believe a new school year is upon us once again – and with it comes new challenges for those working in schools! 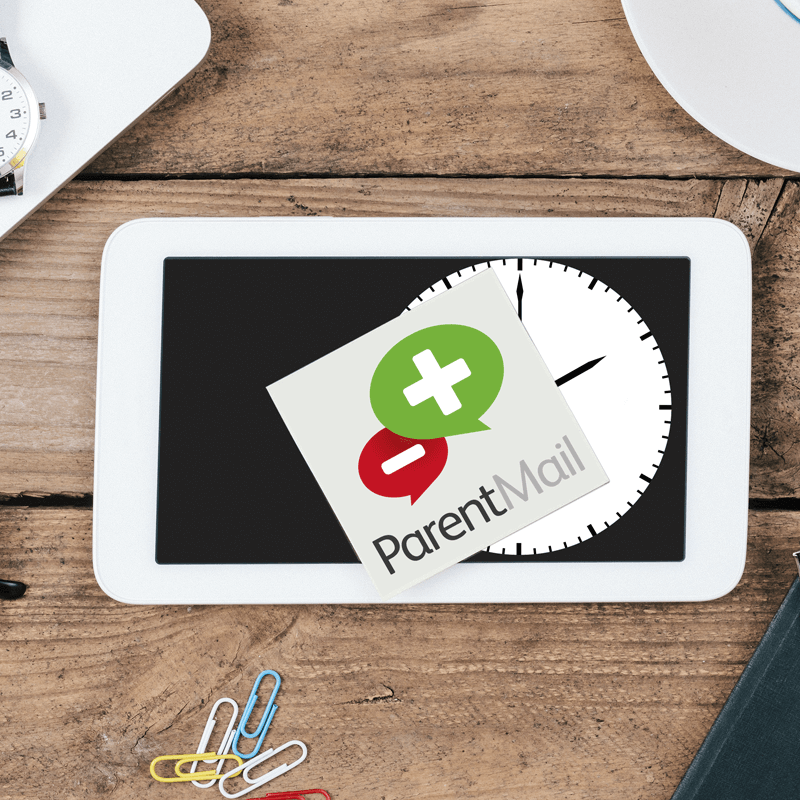 Many of our schools have over 95% of parents registered and regularly using ParentMail; we’ve spoken to some to find out their top tips for parent uptake! 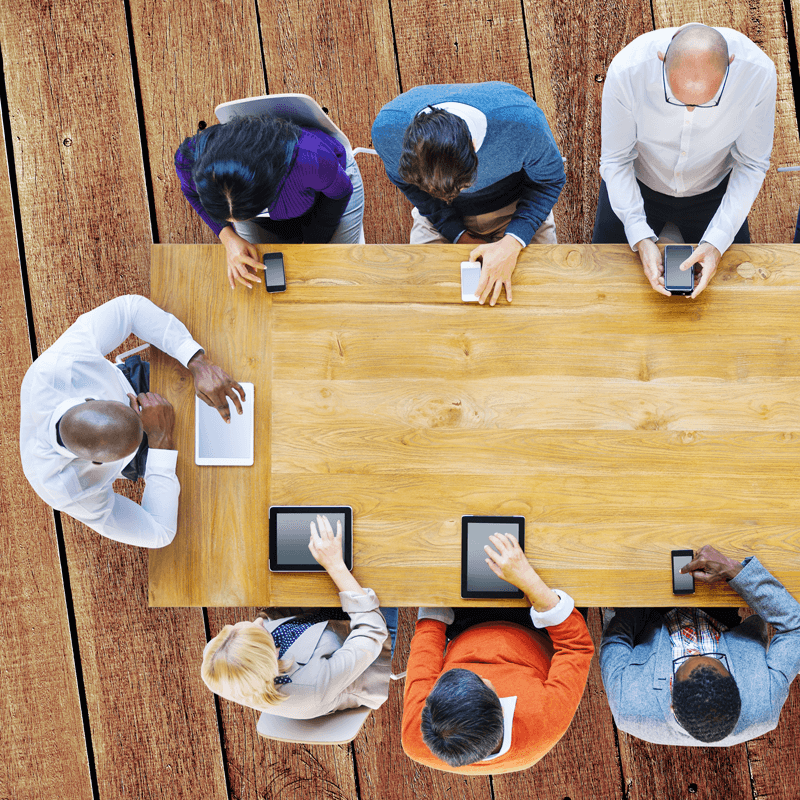 Social inclusivity at the heart of technology! We still remain as socially inclusive today as we were back in 2001! 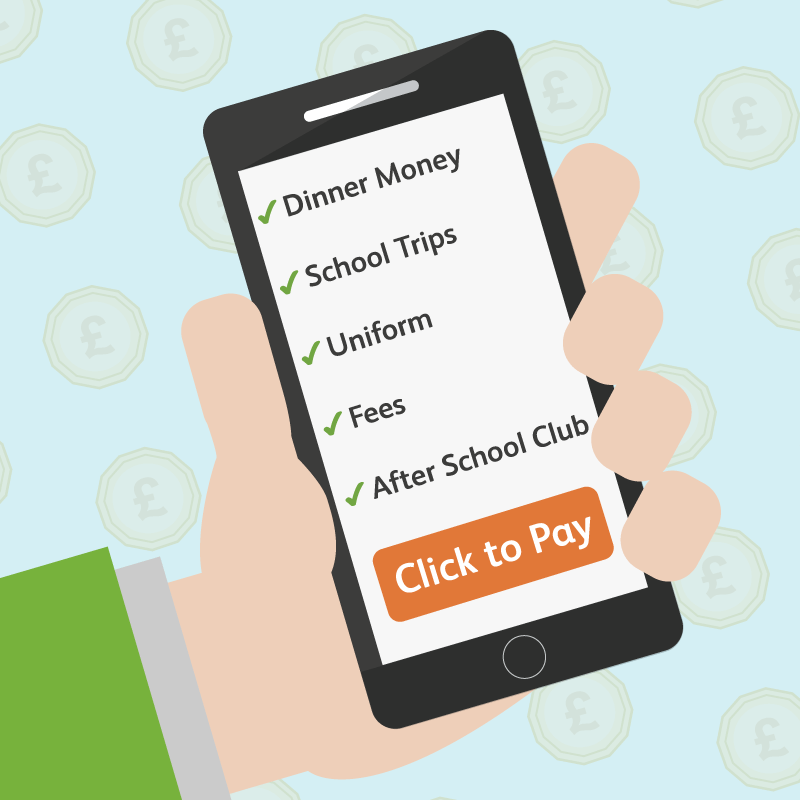 Our mobile app allows parents to top up dinner money, pay for school trips or buy uniform through a few simple taps! Is Sharenting The Right Thing To Do? The first thought I had when my daughter was born was that this is my moment to do something good…! #ShoutOutForTeachers – Celebrate your teachers! If you have great memories of a teacher, or if you think highly of your children’s teachers, why not join us and celebrate them! 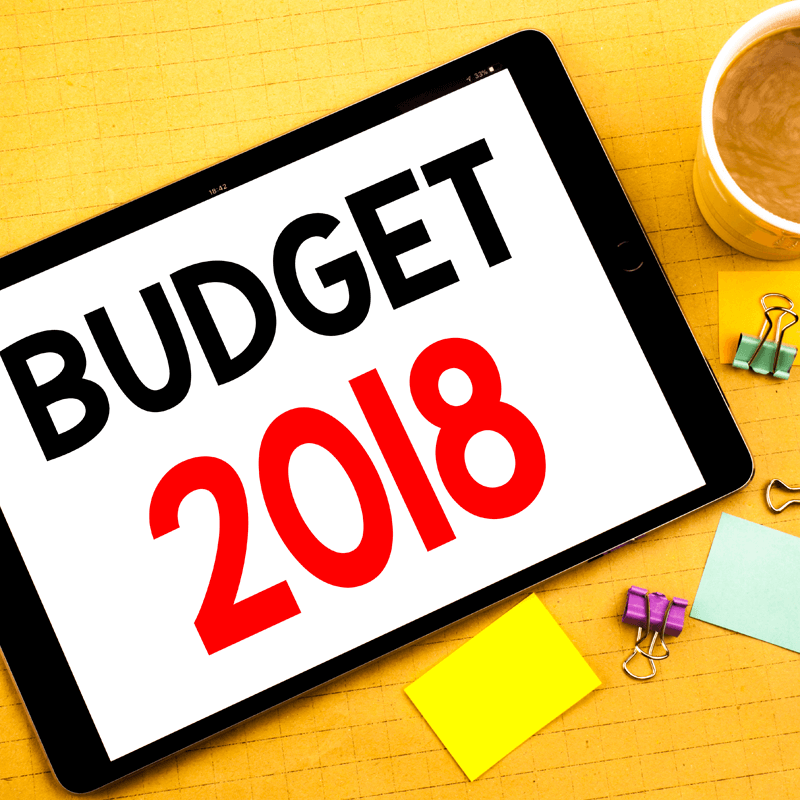 Secrets for stretching the school budget! Many schools are getting smarter about how they spend their money and parent communications is a great place to start. #ShoutOutForTeachers – One month on! 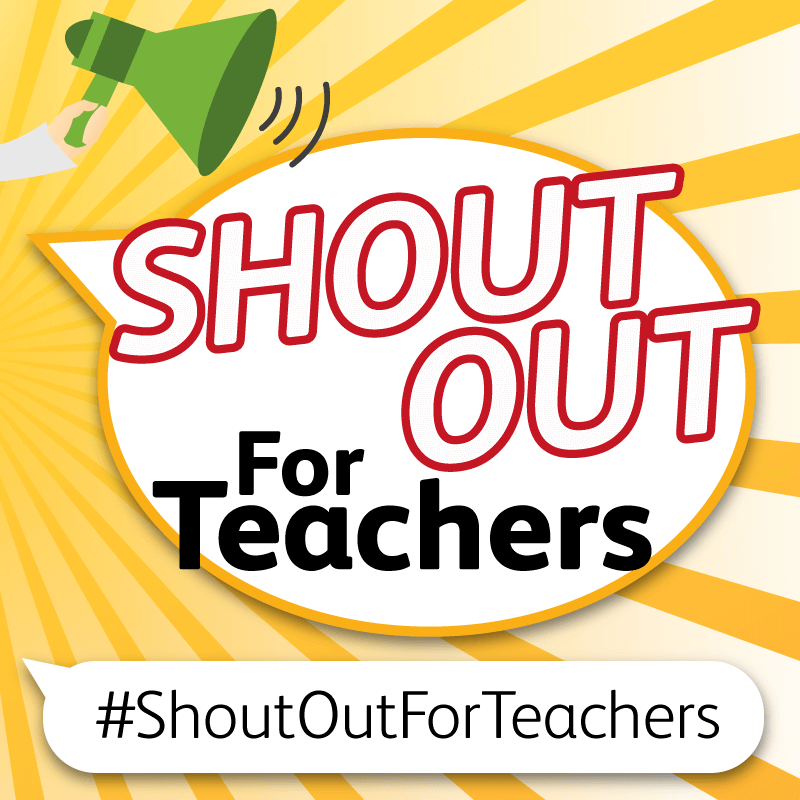 We launched our #ShoutOutForTeachers campaign over a month ago and have been overwhelmed with positive responses on social media! 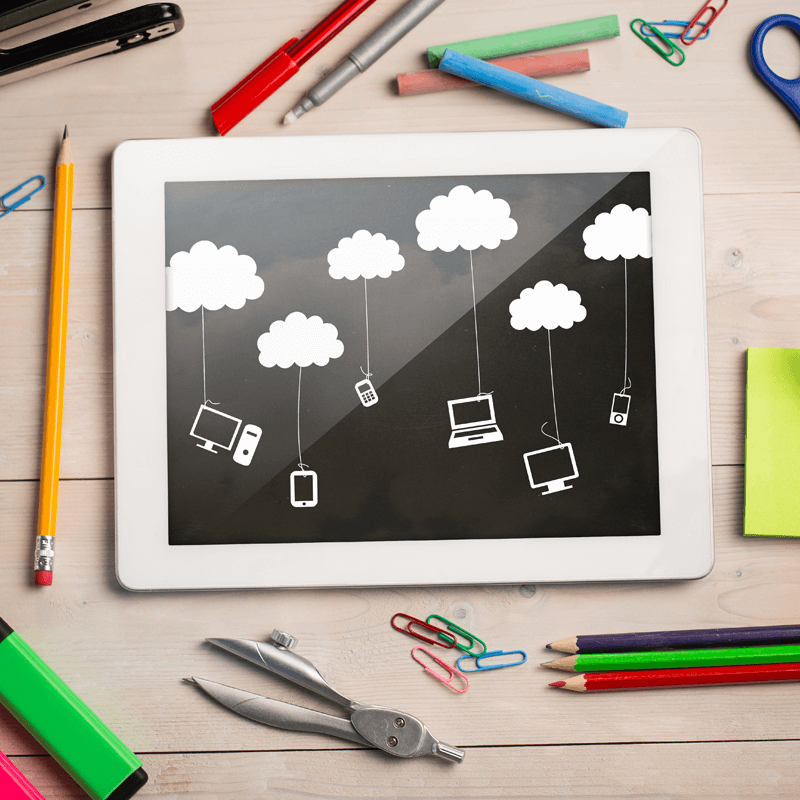 Are you thinking of a new #edtech product to launch in school? Take a look on social media today and see what you can find out! 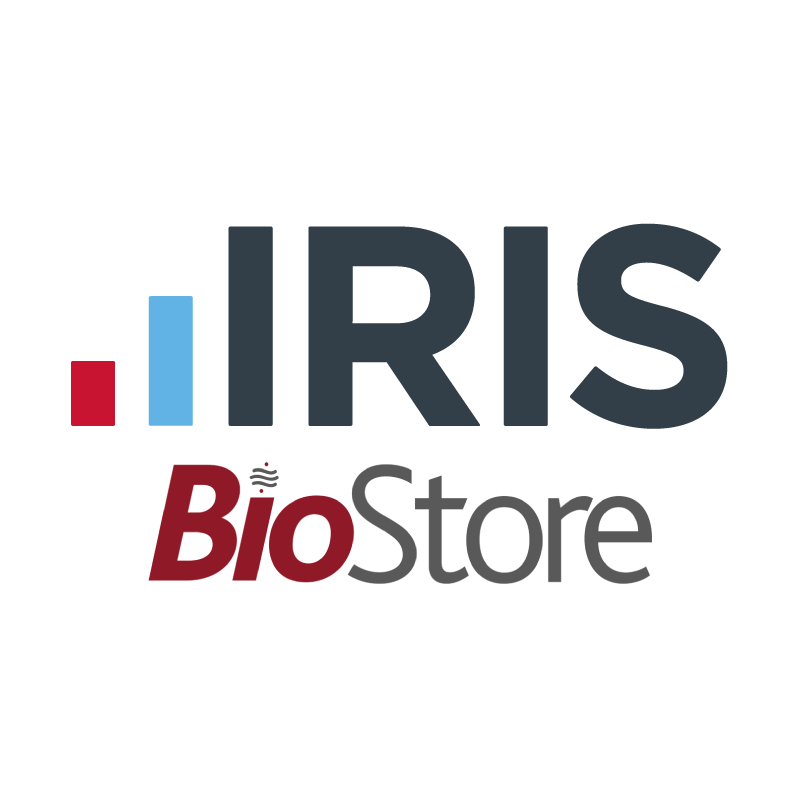 Payments made in minutes and forms completed instantly! Celebrating 1 Million App Downloads! 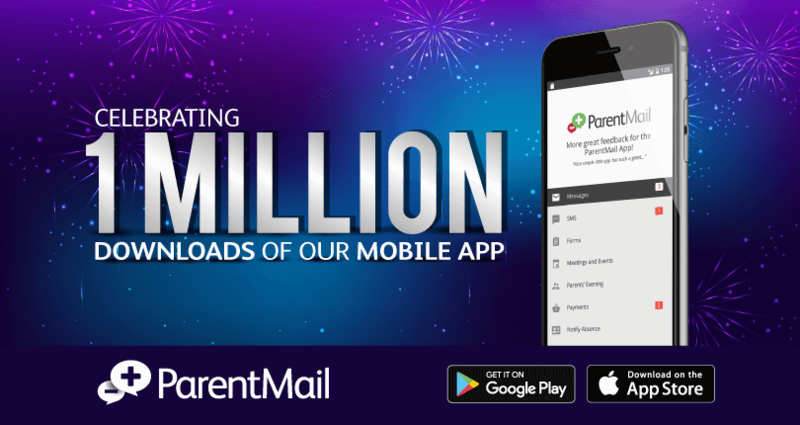 Over 1 million parents across the UK are loving the convenience of ParentMail’s mobile App! 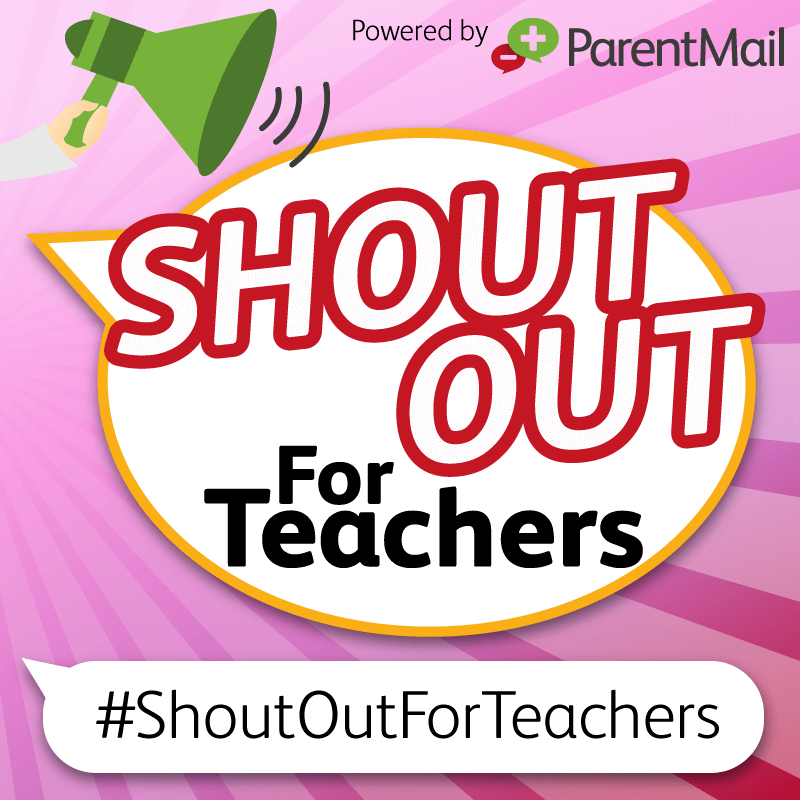 If you think highly of your children’s teachers, join us and celebrate them using the hashtag #ShoutOutForTeachers. 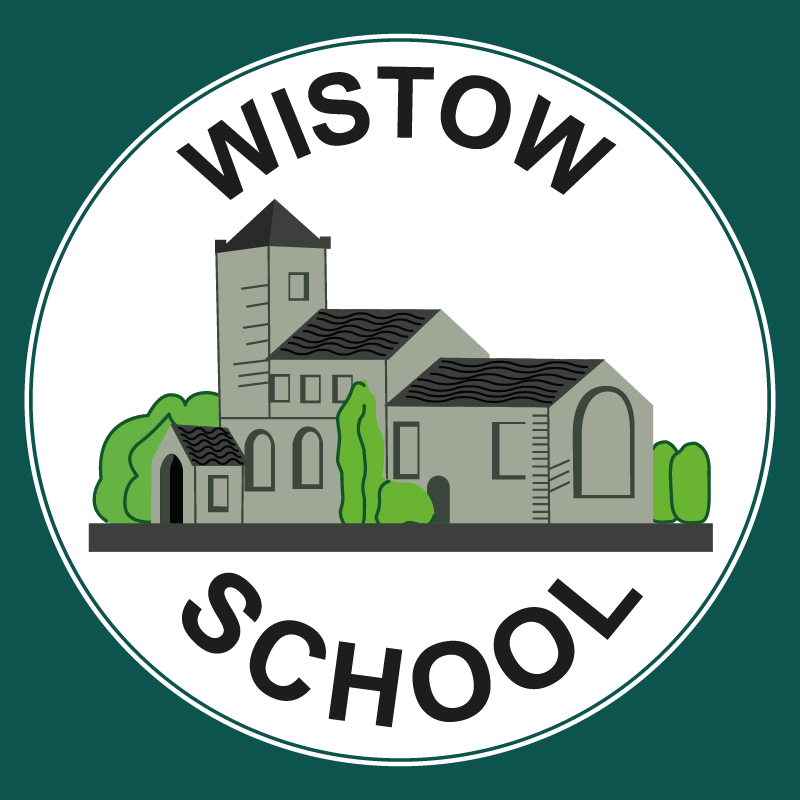 Carlton le Willows Academy have switched to +Pay and now have 80% of parents and over 100 staff paying online, making quick, easy, payments for dinner money, trips, clubs and more through a free mobile App! 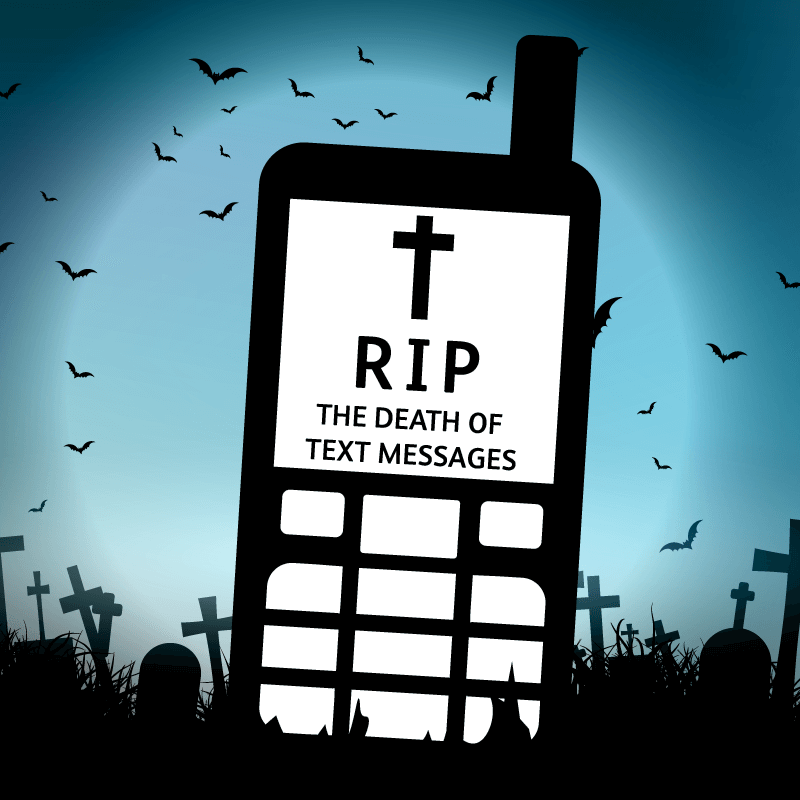 With smartphones now dominating the mobile world, many schools are turning their back on texting! Celebrating 15 years of ParentMail! 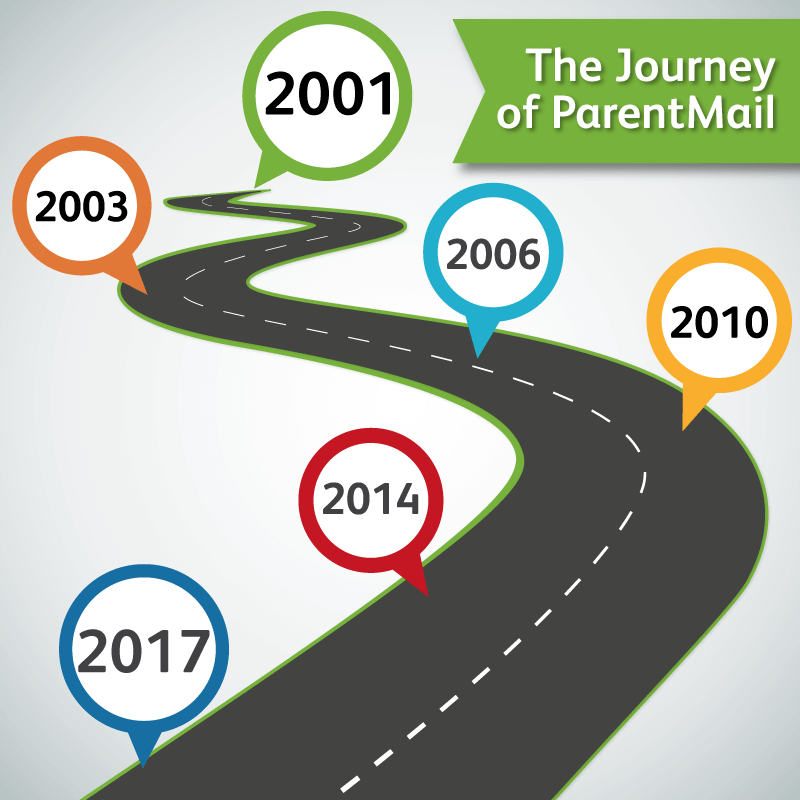 We can’t believe it’s been 15 years since ParentMail was born, and what a journey it’s been! 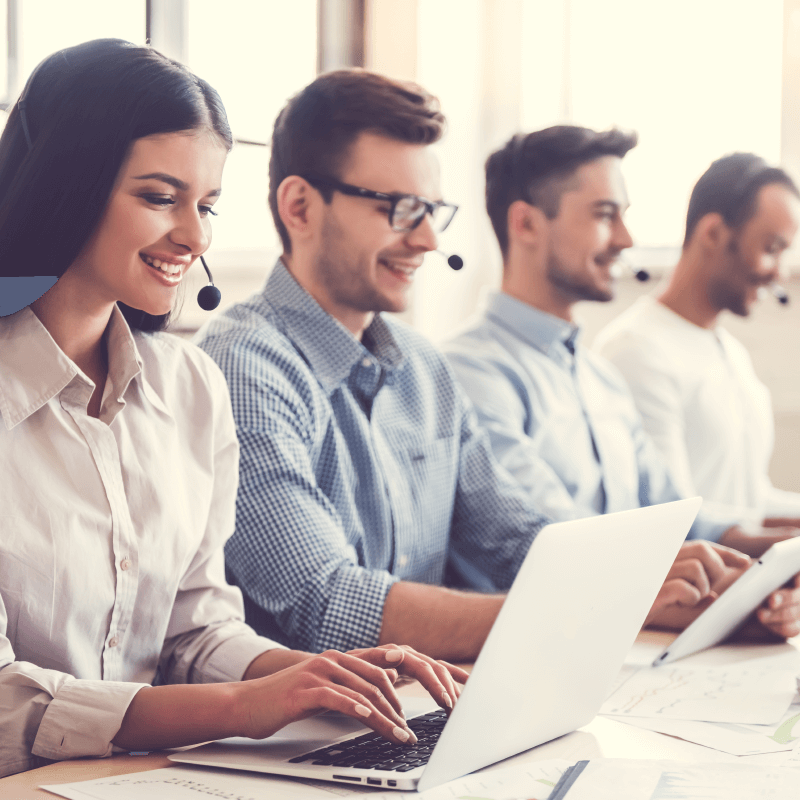 In today’s busy world, people want instant responses and one thing they don’t want is to be hanging on a phone waiting for the next support person to become available or for a response to an email. As we celebrate over half a million downloads of the ParentMail App, we met with our App developers to find out why they think it’s been so successful! Framlingham Primary School surveys parents about ParentMail! What did parents think of receiving communications online? The results were very interesting! We are excited to announce that we are joining forces with PayPal, the faster, safer way to pay online, on mobile phones and in-store. After two years struggling, St Anne’s CE Primary decided to try Parents Evening Manager – and it’s been a revelation! 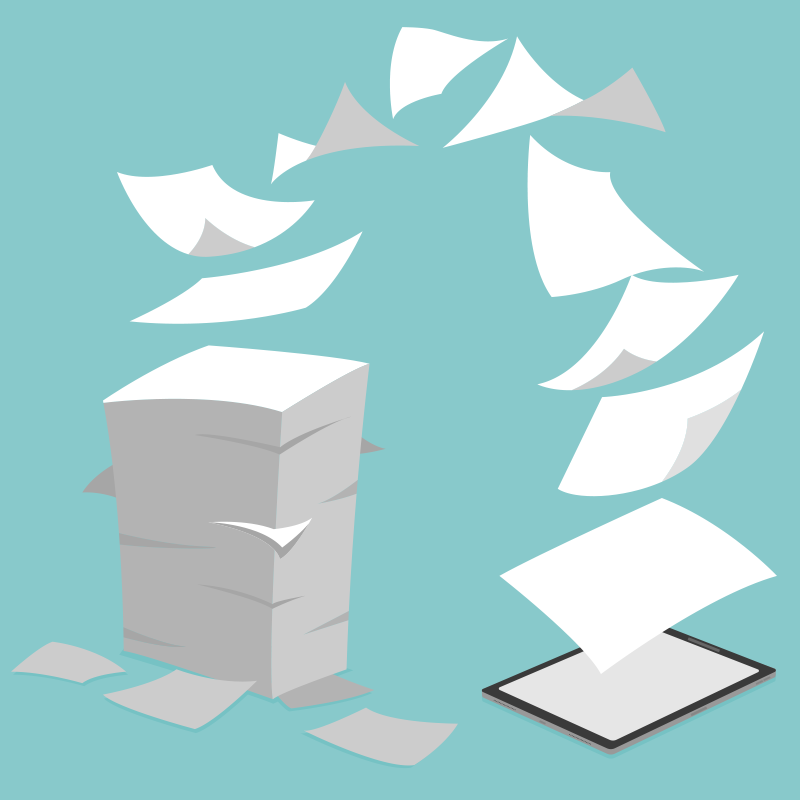 From paper communications to email and text and now to smartphone Apps, gone are the days of mislaid letters and forms which never make it home. 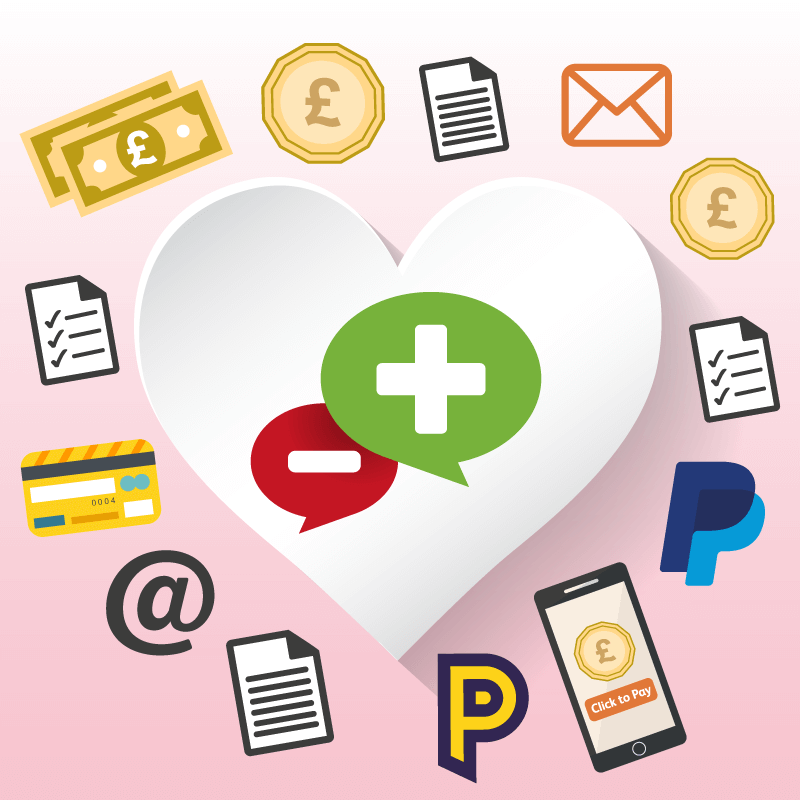 Looking for a system which would allow them to collect payments as well as communicate with parents – ParentMail was the obvious choice. 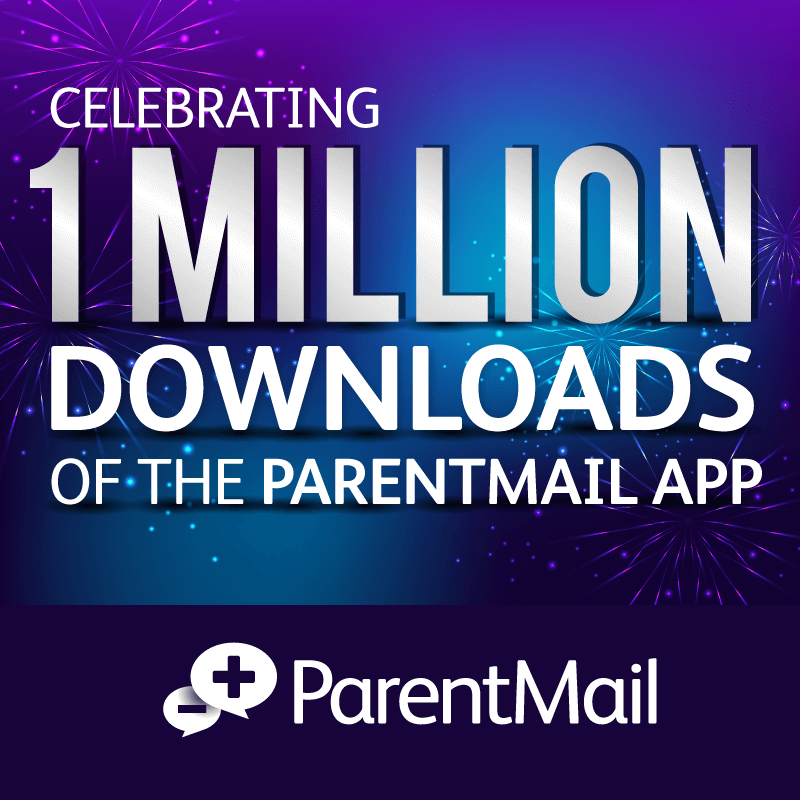 Celebrating 500,000 downloads of the ParentMail App! Half a million parents use the ParentMail App to pick up important school messages, pay for school items, book parents’ evening appointments and more! Ings Farm Primary School always found it difficult to get parents to complete and return forms with often only small numbers of parents responding. 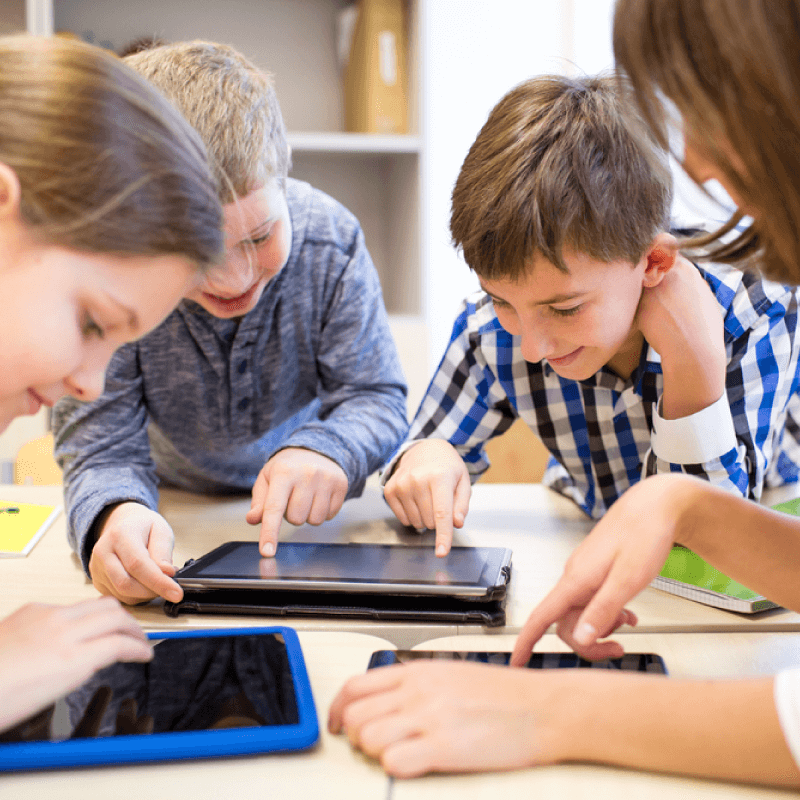 Mobile Apps: The secret ingredient for improving student outcomes? 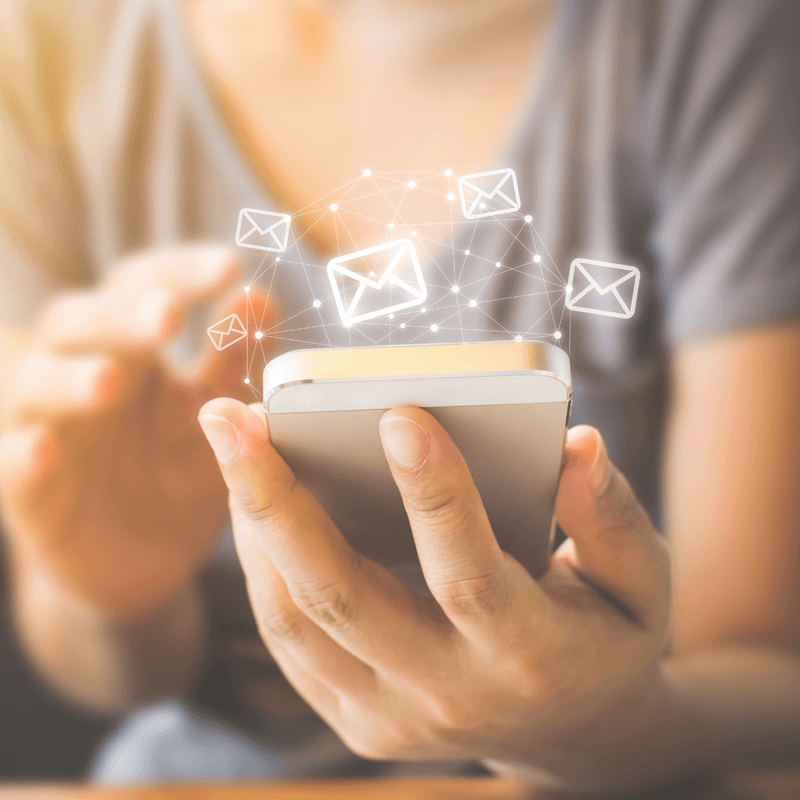 With advancements in technology moving at such a rapid rate, parents no longer expect to receive important information through email or text messages. More great feedback from parents on the ParentMail App! We’ve been looking at some of the great feedback we’ve been receiving from parents to find out how the App helps them. 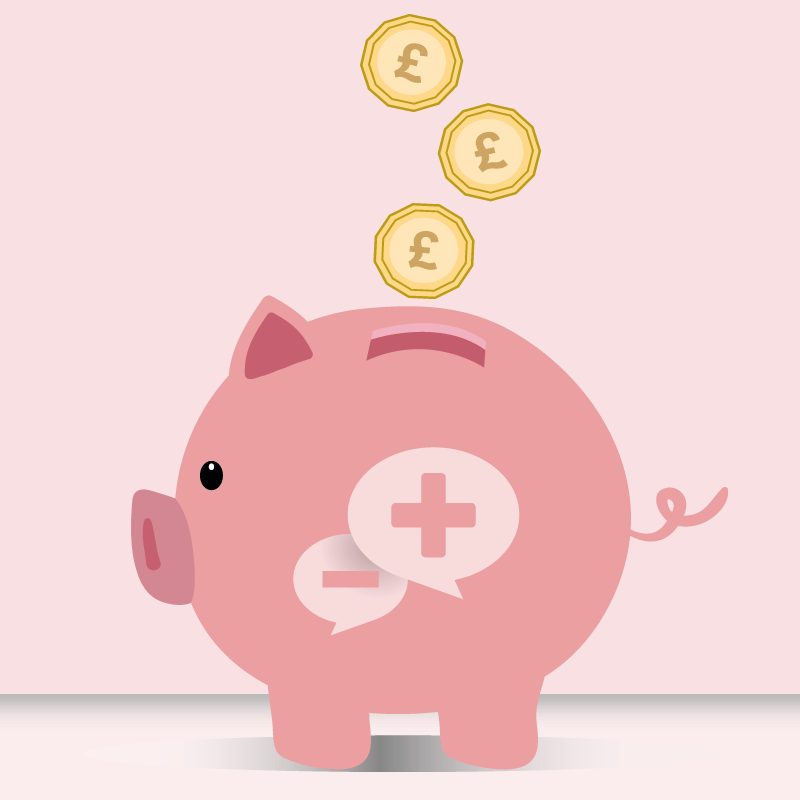 Astor College were keen to find a way to communicate to parents which would save money – and ParentMail was the answer. Robert Drake Primary School has started using ParentMail’s latest platform, PMX, and can’t believe how easy it is to use! 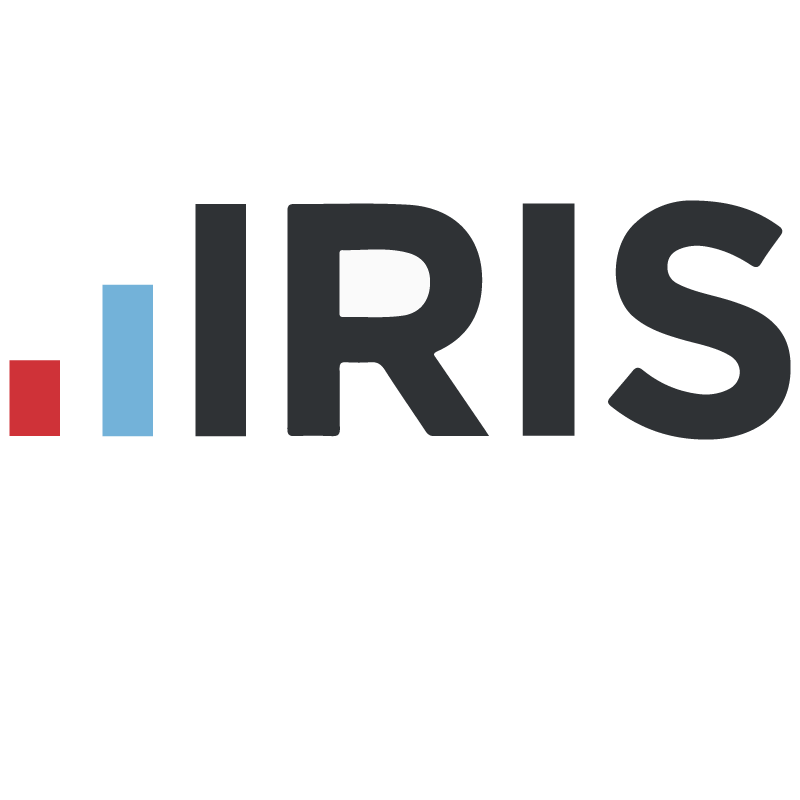 We’ve launched our new help site and improved our support! 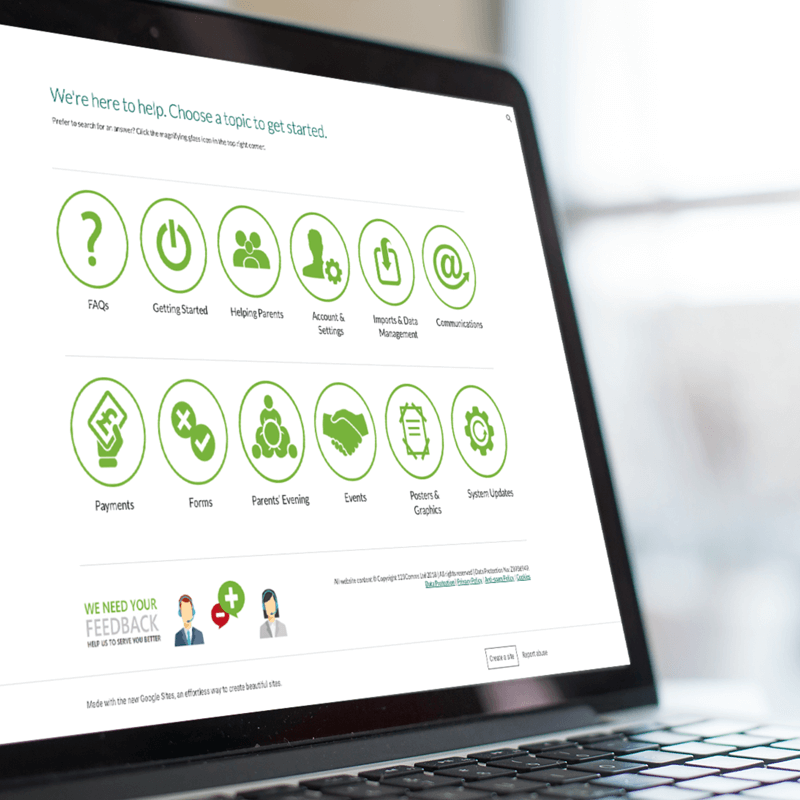 We’ve been working hard behind the scenes on our help site so that you can get the help you need instantly. Parents “over the moon” with the ParentMail App! 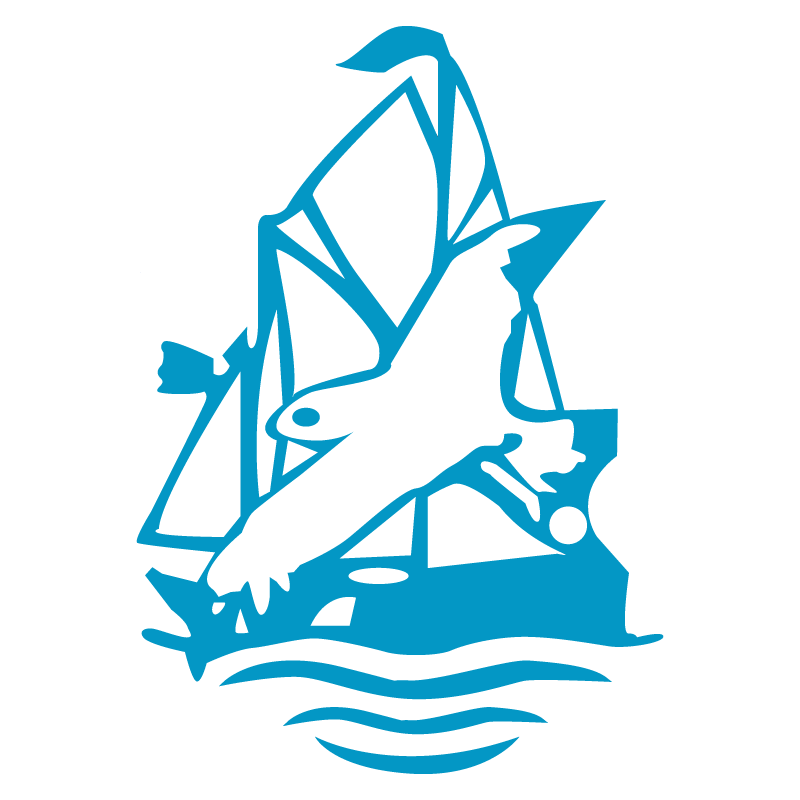 With over 90% of parents using ParentMail, Stoke Mandeville Combined School are extremely pleased with how easy it now is to communicate with their parents. 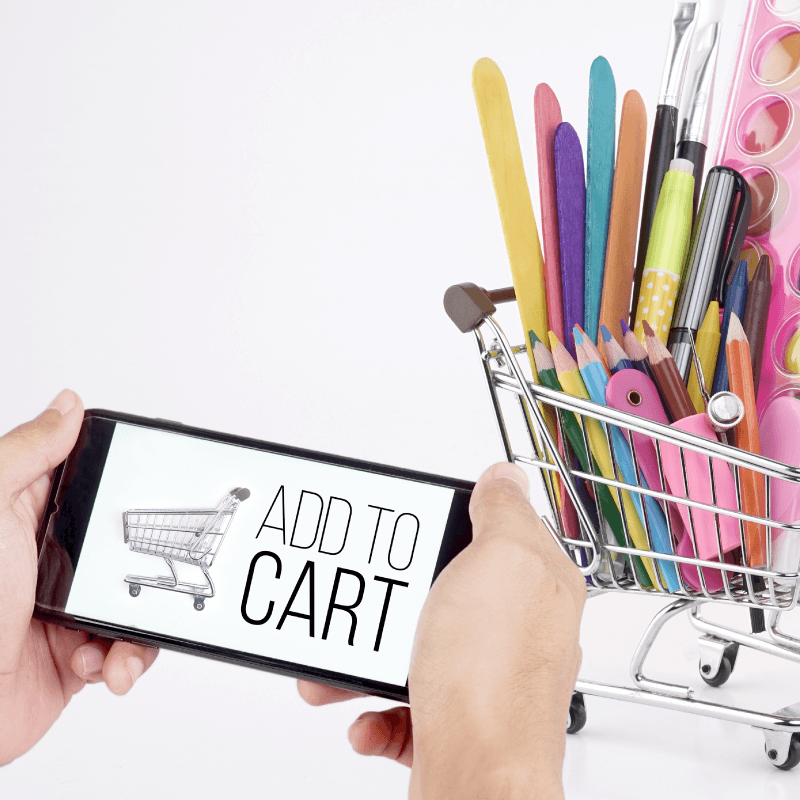 With over 90% of parents saying they would prefer to pay for school items online, schools are adapting to the changing needs of parents to make paying for items less of a chore. The ParentMail App has been updated! For schools using online payments, parents can now pay for items such as school trips, uniform, tickets for events and more on the go!. Within a week, 95% of parents booked appointments without paper, queues in the office or teachers spending time on administration! Fantastic feedback for the ParentMail App! 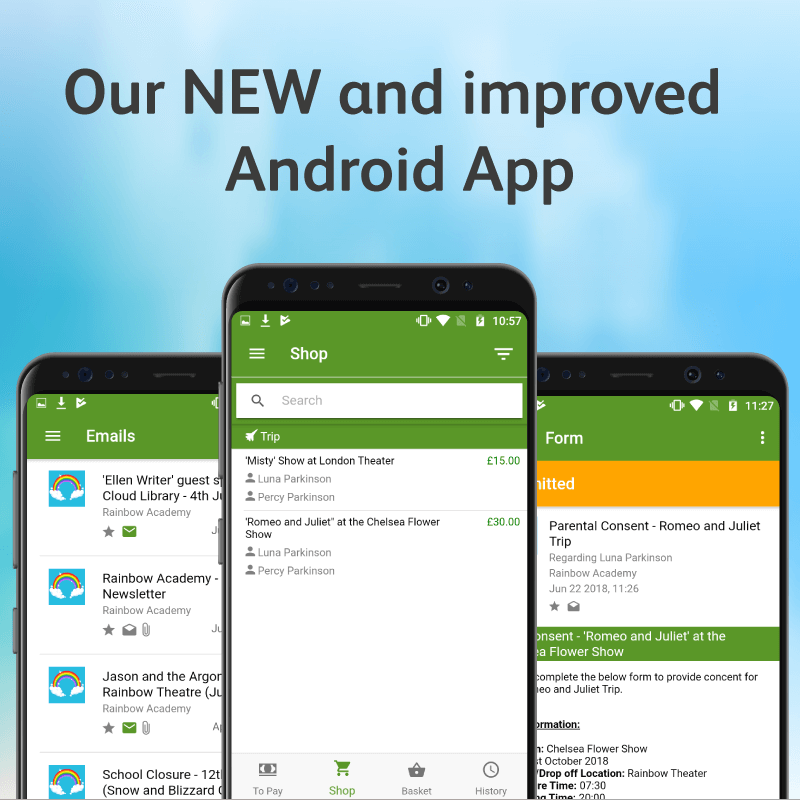 With over 400,000 parents now receiving messages from their school through the App, parents are reading and responding to school messages, forms and invitations quicker than ever before. 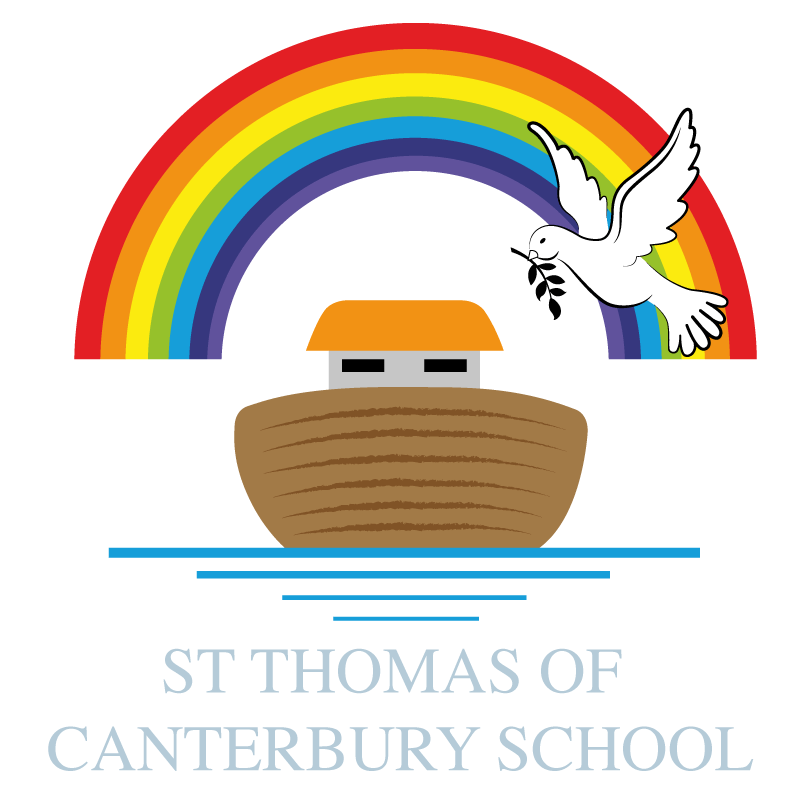 St Anne’s RC Primary School has recently installed the auto SIMS link, so that data automatically updates from SIMS into ParentMail each night. Our School Mobile App in the Top 20 in the App store! We’re very proud to announce that The ParentMail App is now in the Top 20 App downloads in the Apple Store! According to email provider Sendmail, 90% of messages in our email inbox are spam, discouraging many of us from reading our emails! With Parents Evening Manager, in less than a week Wadhurst Primary School has had two thirds of parents book their appointments online! We’re very pleased to announce that ParentMail has been awarded a position on the ESPO framework. 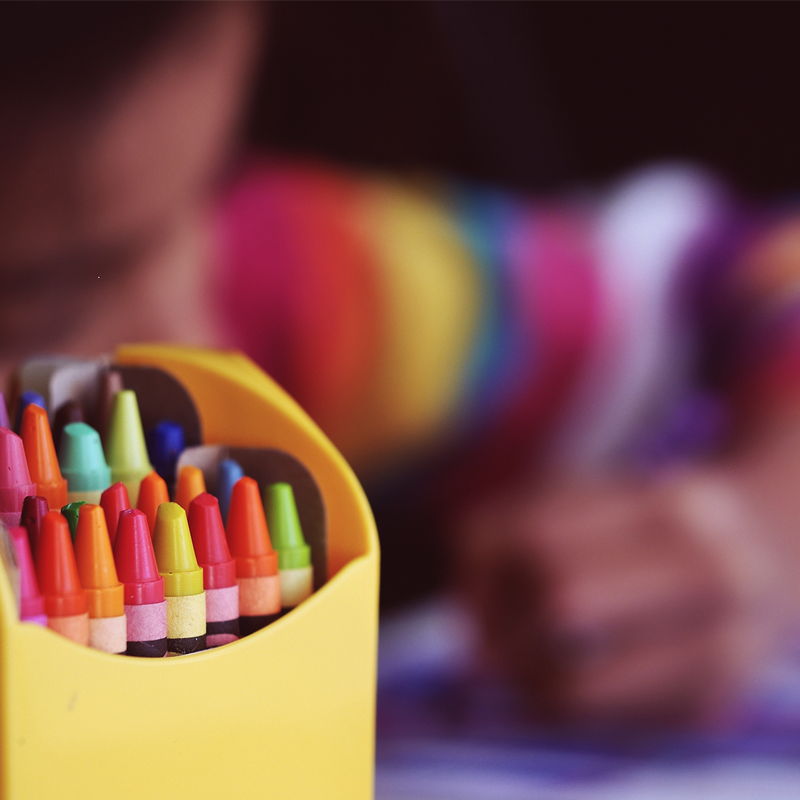 Schools Minister Nick Gibb has announced that parents choosing a secondary school for their child will have access to early exam results to help them decide. 35% of schools told us that they still spend on average £100 a week on postage – that’s £3800 a year! 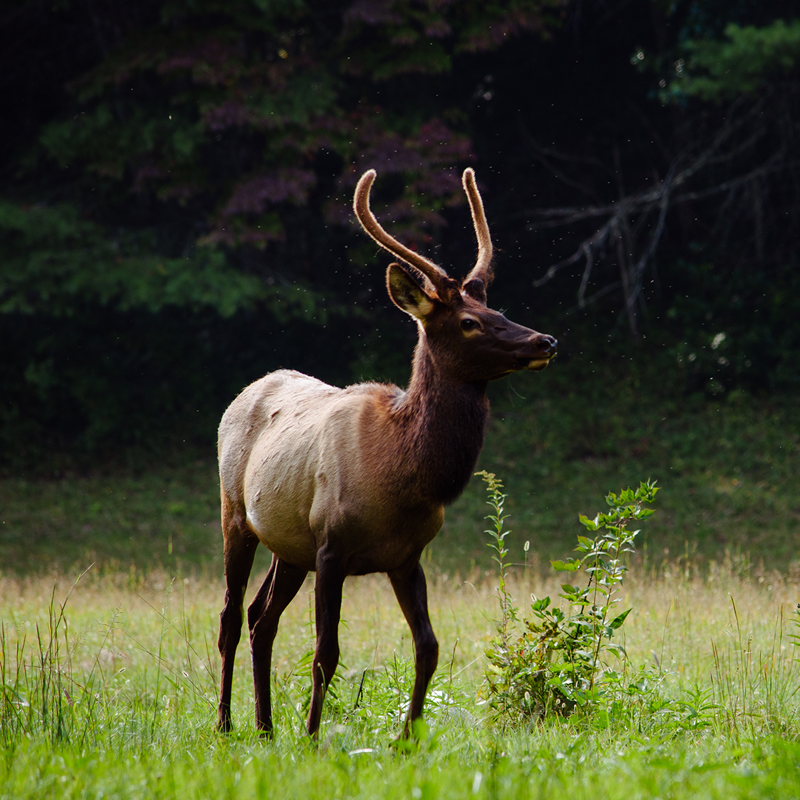 Many schools regularly raise awareness of global environmental issues and try to promote living “greener lives” to their students. Within 2 weeks, the school had over 80% of parents accessing ParentMail every day, many of which do so through the free ParentMail App. 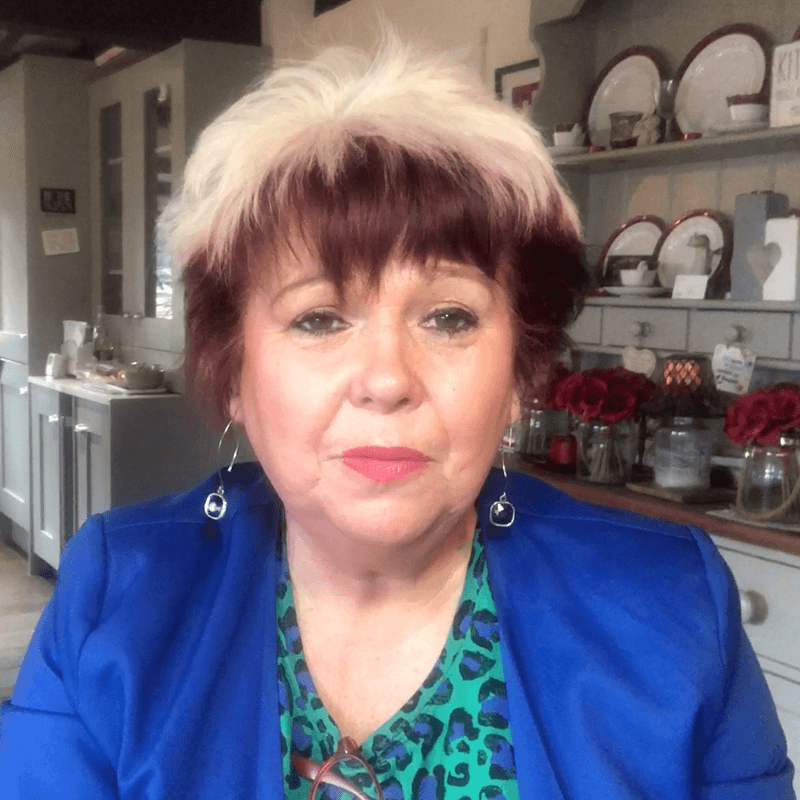 Why do parents want Parents Evening Manager? 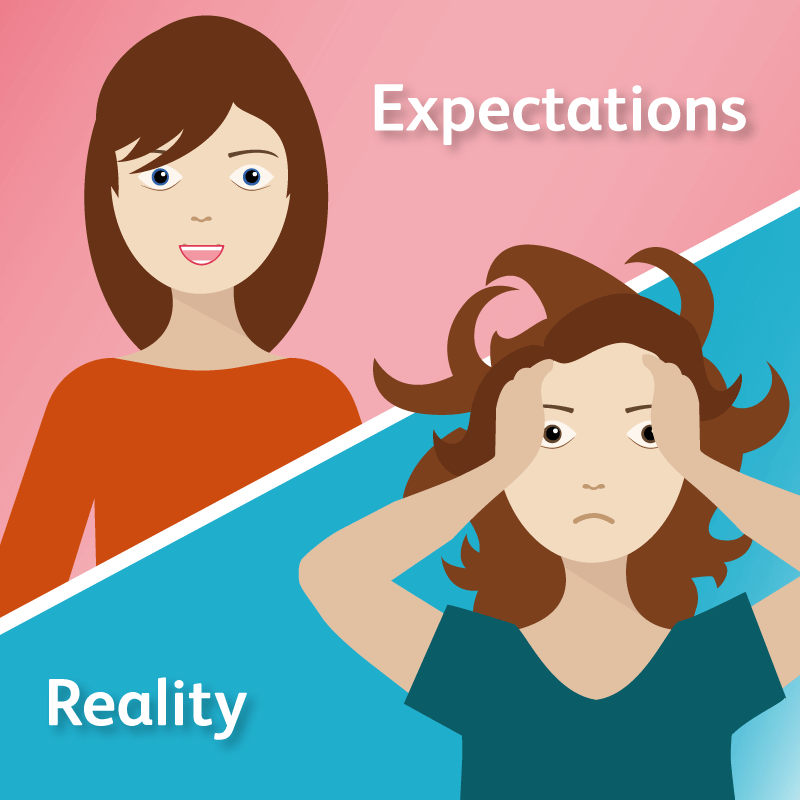 It’s not just schools who find organising parents’ evenings a nightmare! Malcolm Sargent Primary School have been very impressed with just how easy it’s been to set up parents’ evening, thanks to ‘Parents Evening Manager’. 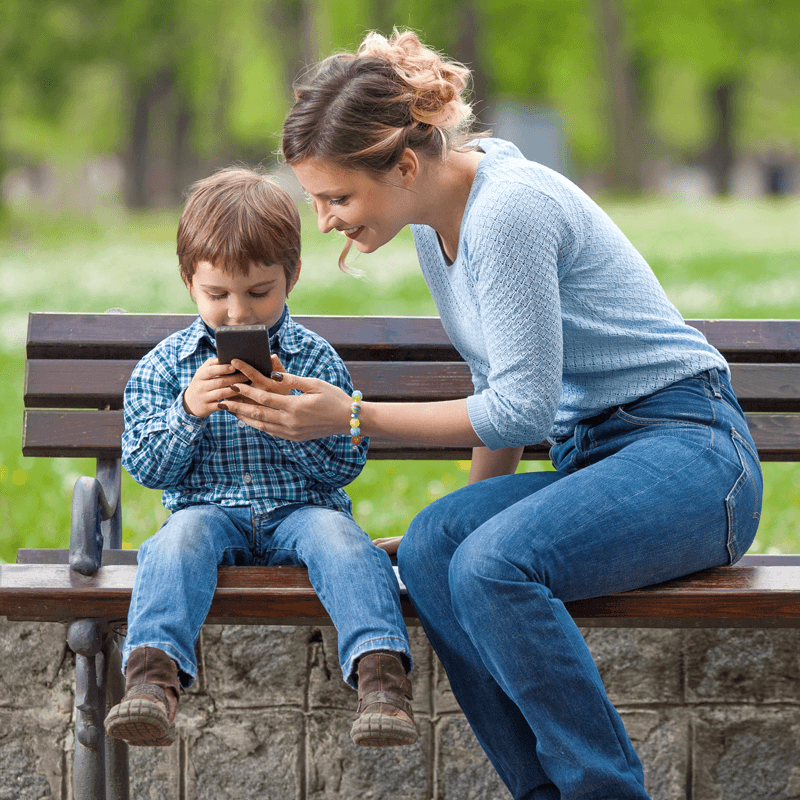 Parents – are you using the ParentMail Parents App yet? 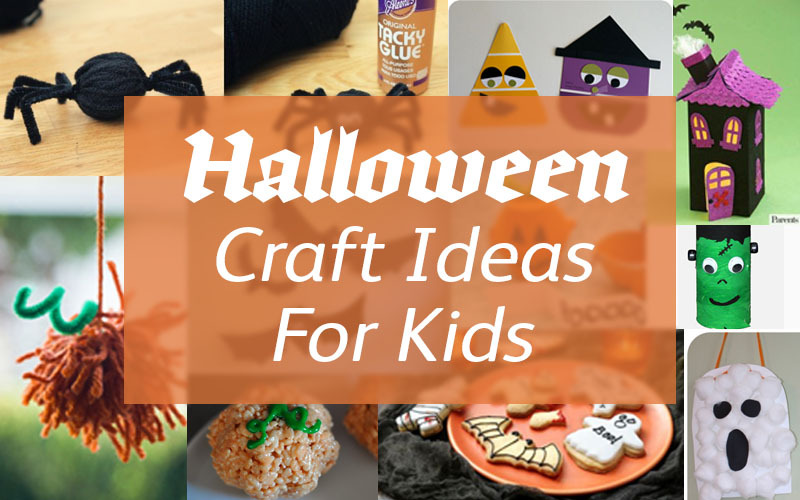 Every parent knows it’s difficult keeping track of all their children’s activities. 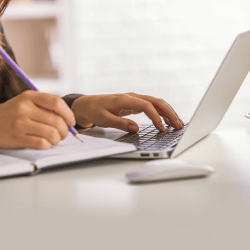 Schools, clubs, sports events…there’s always something to read, plan for or reply to. 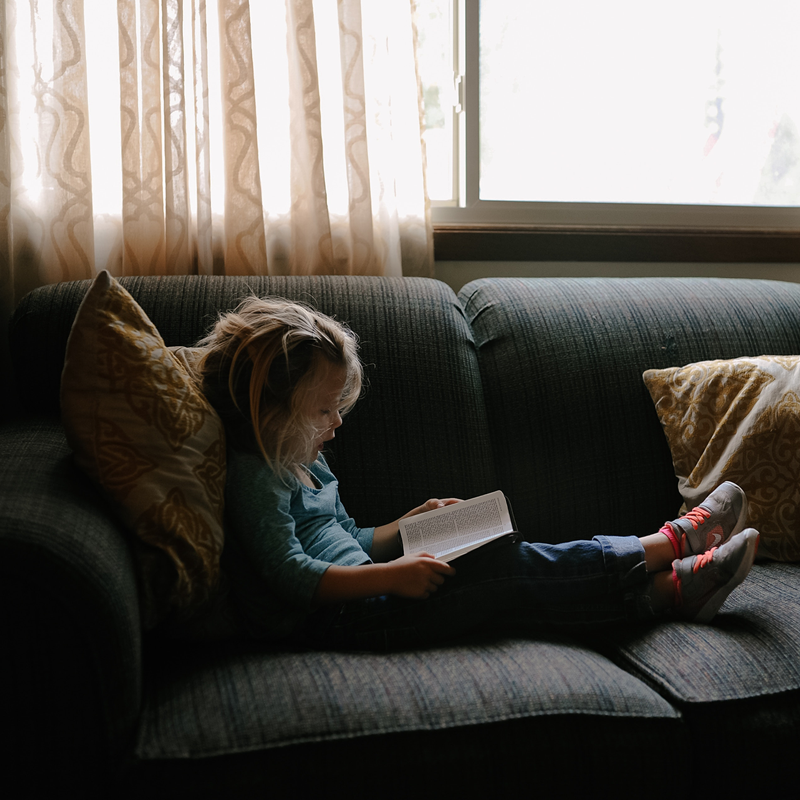 We make it easy for parents to read and respond to school requests, and this makes it the most effective parental engagement service! St Nicholas Catholic Primary School in Devon has been extremely impressed with how well communication in school has improved. 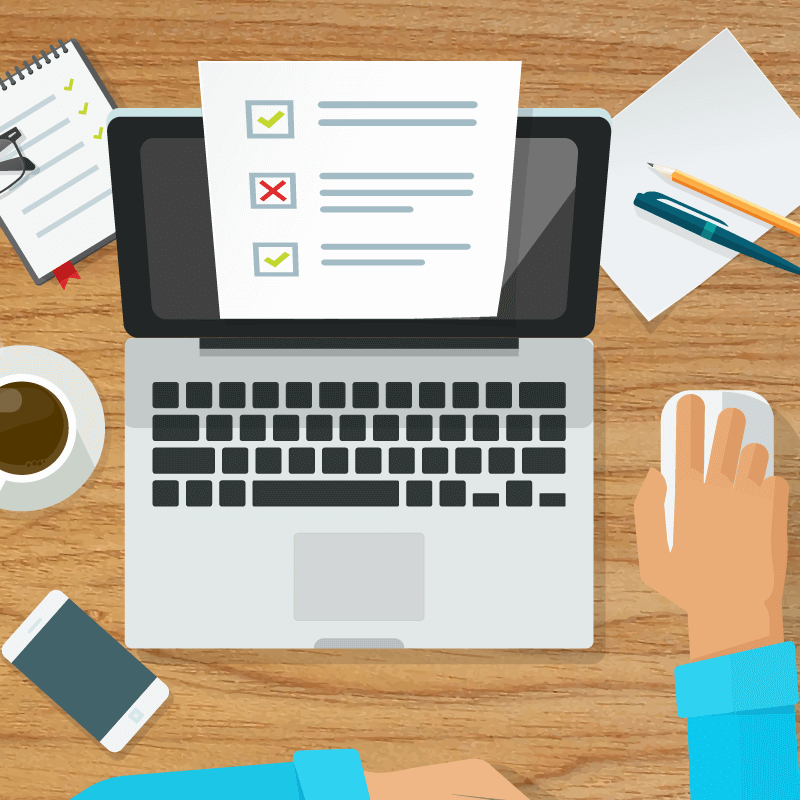 Today, parents can pick up emails, complete schools forms, book parents’ evening and top up dinner money while at work, at home, or on the go, all from their mobile phone. 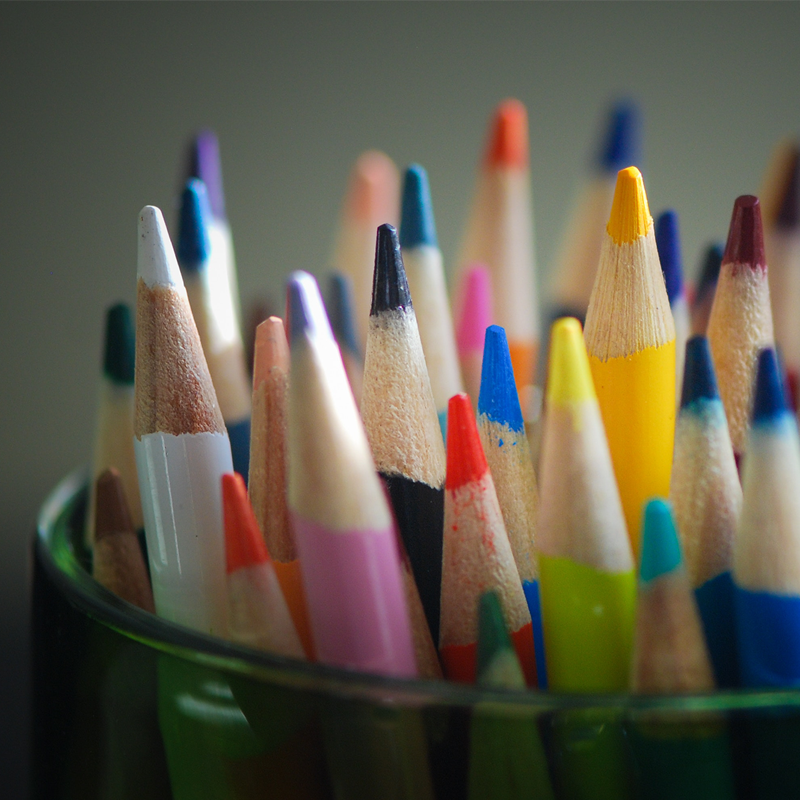 How can your school make Parents’ Evening easier? In a recent survey, over 90% of parents told us that they would use an automated online service to book parents’ evenings. The ‘Internet of Things’—a system in which objects can communicate internally or with other machines—will transform the way we live our lives. 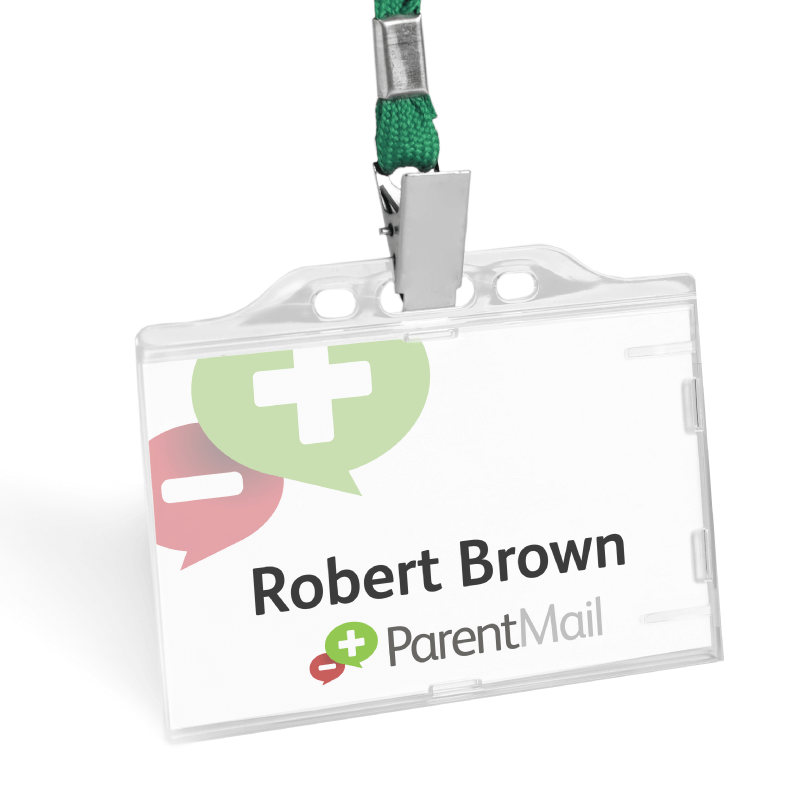 With 100% of parents using ParentMail, Copthill are extremely proud of the way they communicate to parents. Top 10: Reasons why schools and parents want +Pay! We’ve put together the top 10 reasons why schools, parents and children benefit from an online payments service like +Pay. 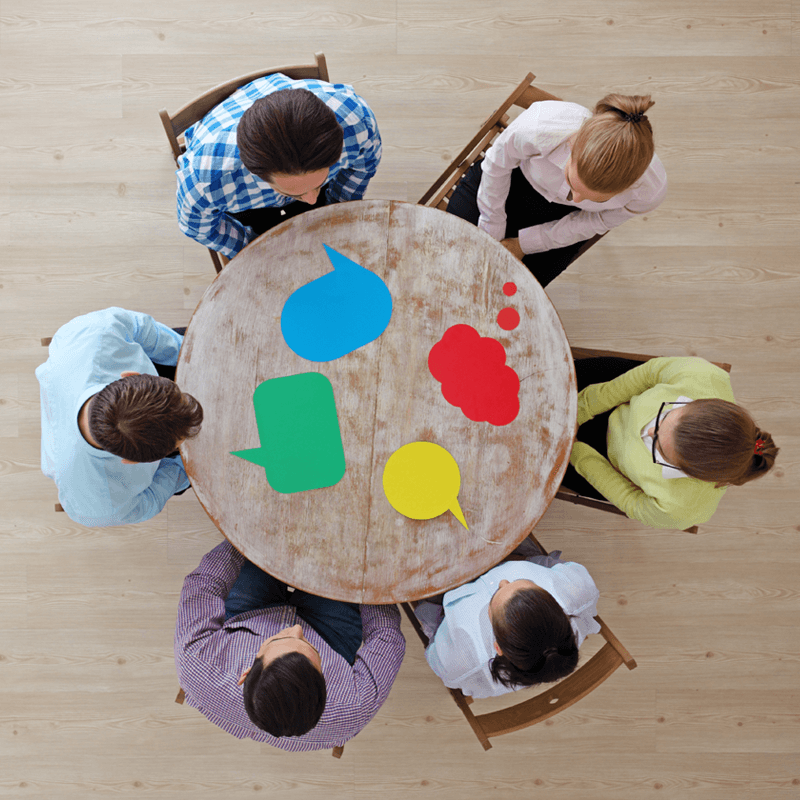 Our very bright development team work hard to bring you the best, quickest, most effective communication service. 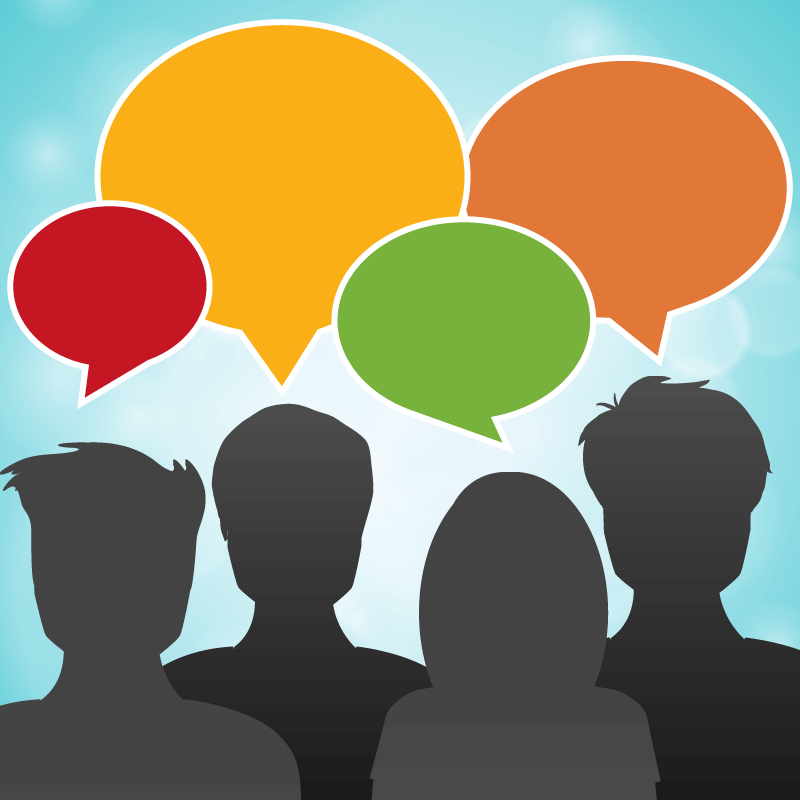 Why do parents want school communications on their mobile? 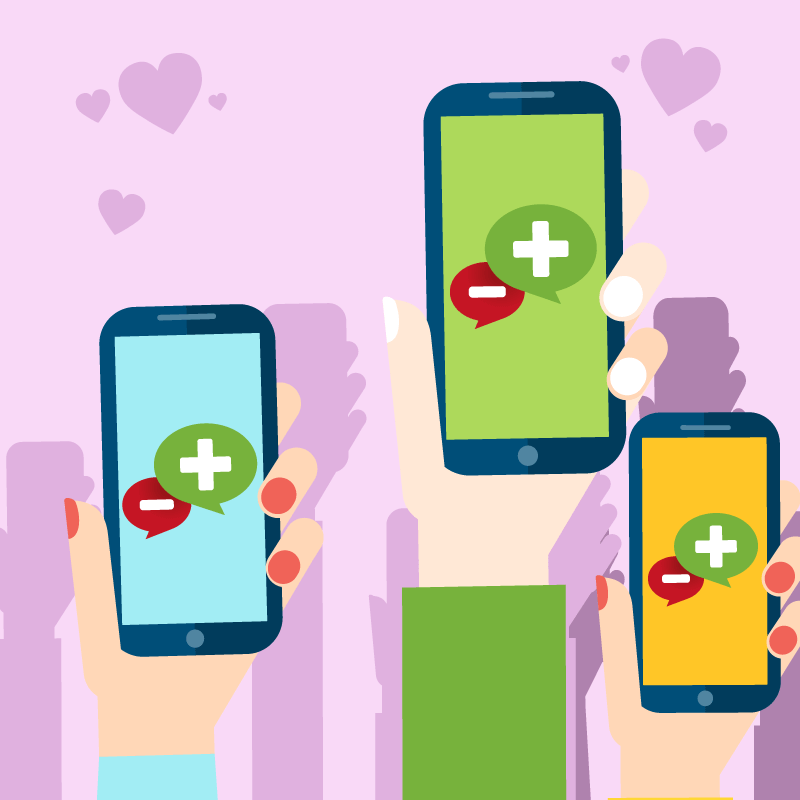 As we get ready to release our new iOS and android apps, we’ve been looking at why parents want to receive school communications on their mobile. 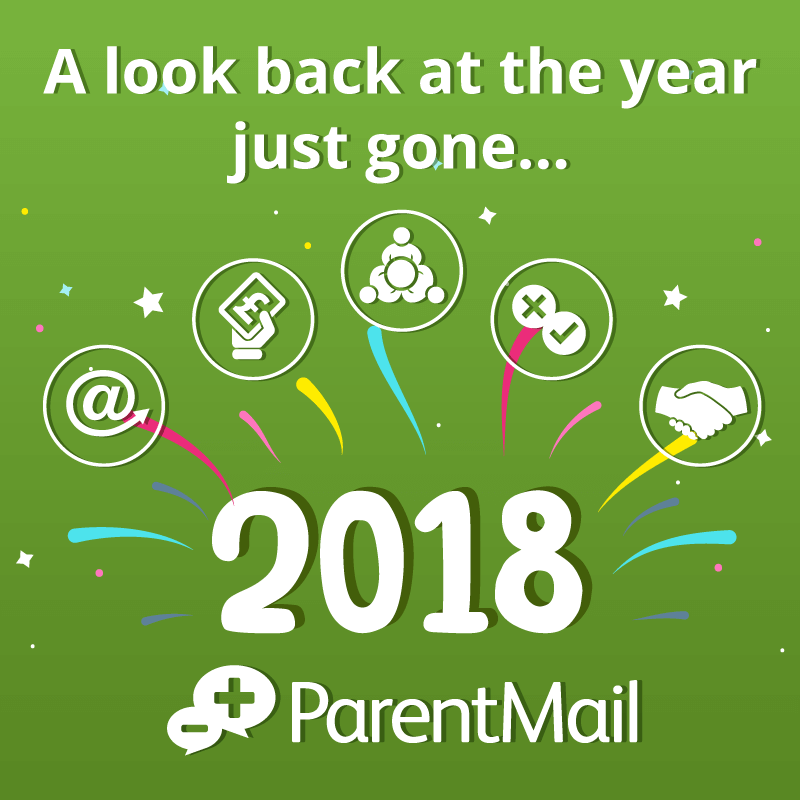 Many of our schools have over 95% of parents registered and regularly using ParentMail; we’ve spoken to some to find out their top tips for making ParentMail a success! From September, big changes will be made to school food, with the Department of Education transforming who gets free meals and what children eat. 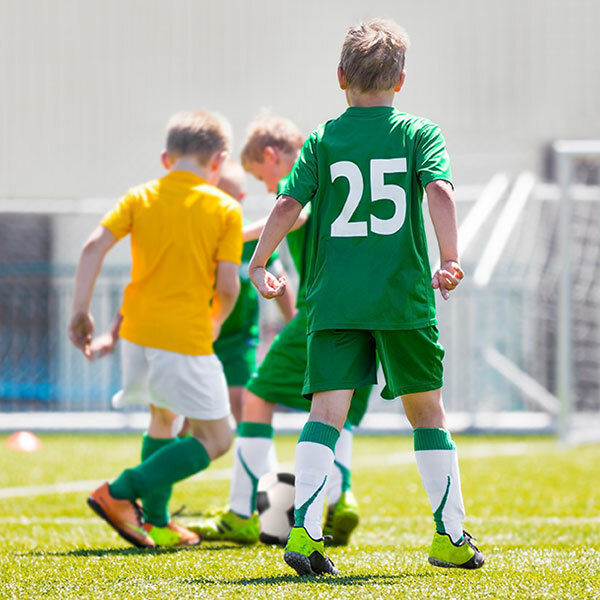 We’ve come up with some top tips to help clubs cut back on admin time and communicate easily with parents. We know that many schools offer a wide range of sports clubs, but are your parents aware of them? Quainton Primary School have found the perfect solution with ParentMail’s online Dinner Booking form. Beckington CE First School recommend +Pay to all! 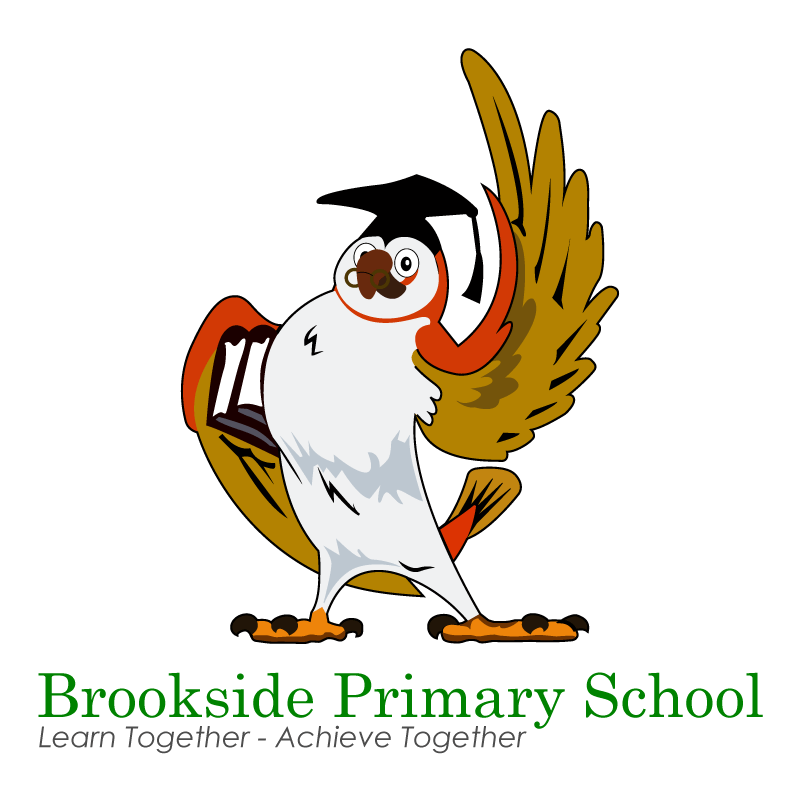 Beckington First School are so pleased with the +Pay service that they would recommend it to any school! 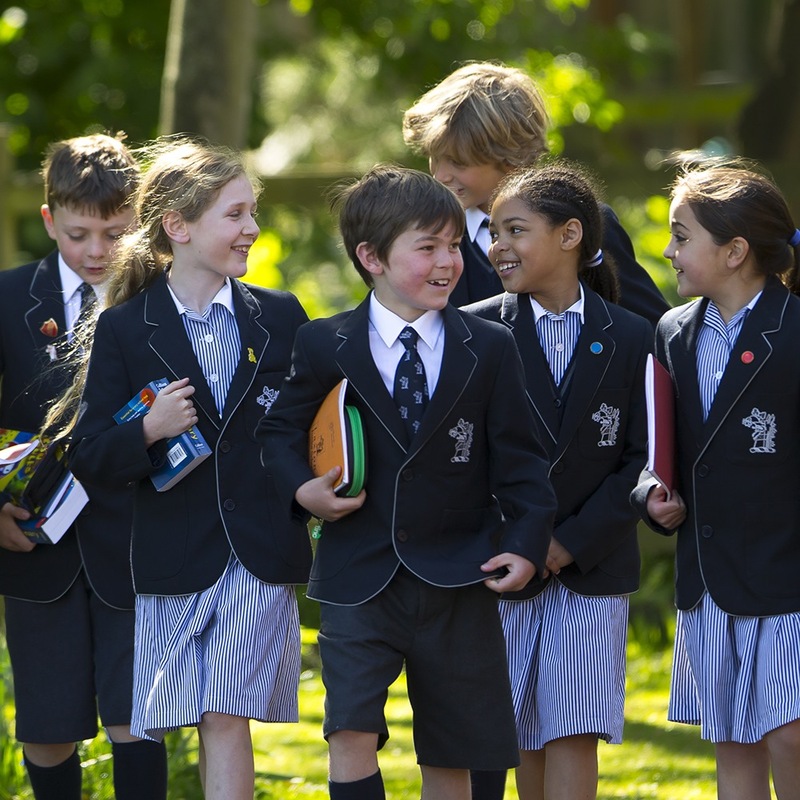 Described as a traditional school by those who know it, Deepdene School has ‘modernised’ with the addition of ParentMail and with huge success as 100% of parents use it. 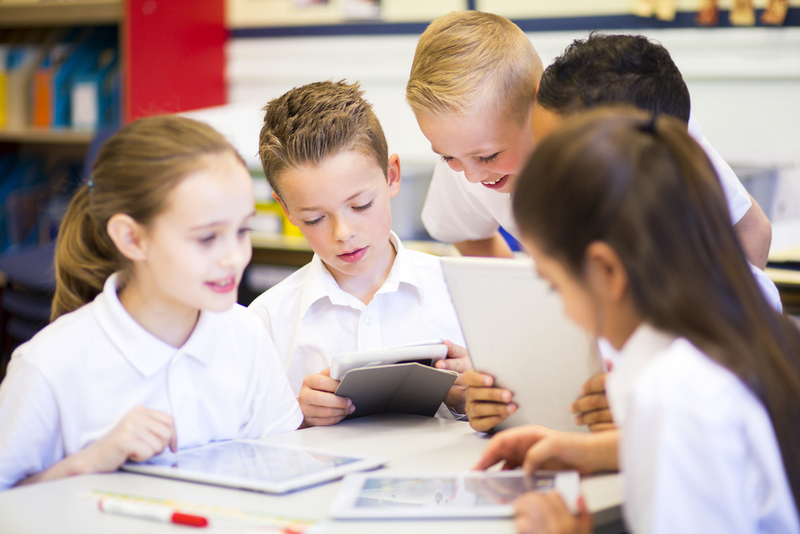 Halterworth Primary finds success with online Forms App – 80% response! 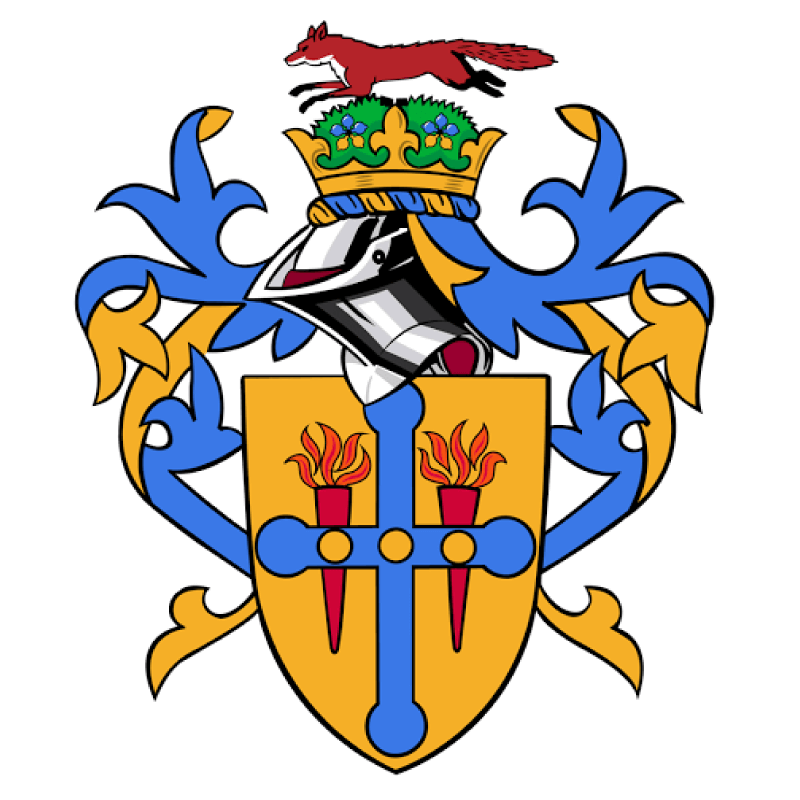 ParentMail scores with Felpham Football Club! With 95% of parents paying via +Pay either online or from their mobile, they have reduced their dinner money debt substantially. St Paulinus were staggered when 85% replied to an online form they sent using ParentMail’s Forms Application. Accessing ParentMail on mobile becomes more popular! 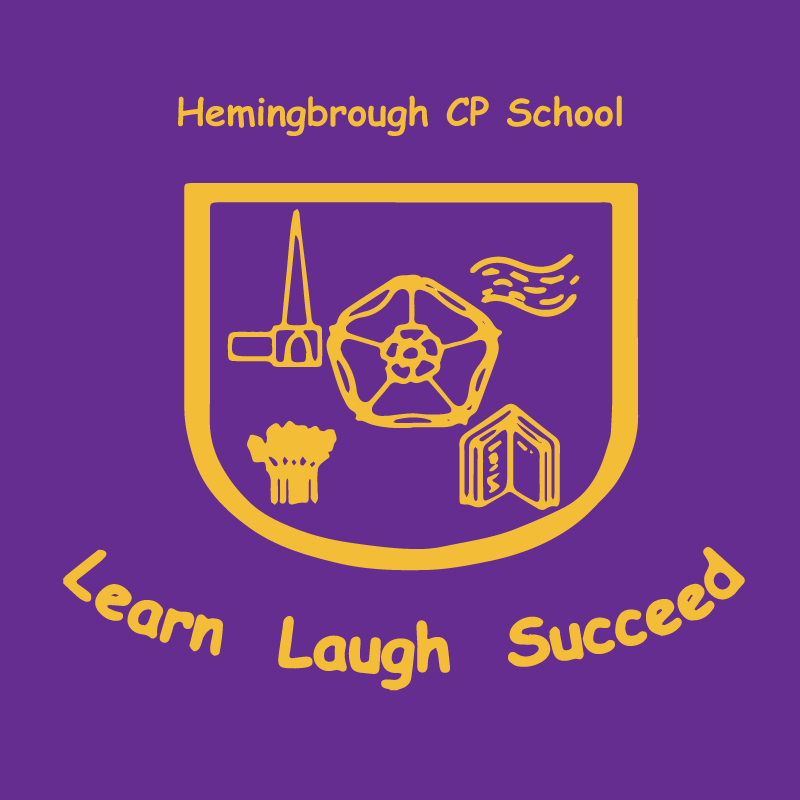 60% of our customers, that’s both schools and parents, access ParentMail through their tablet or phone. 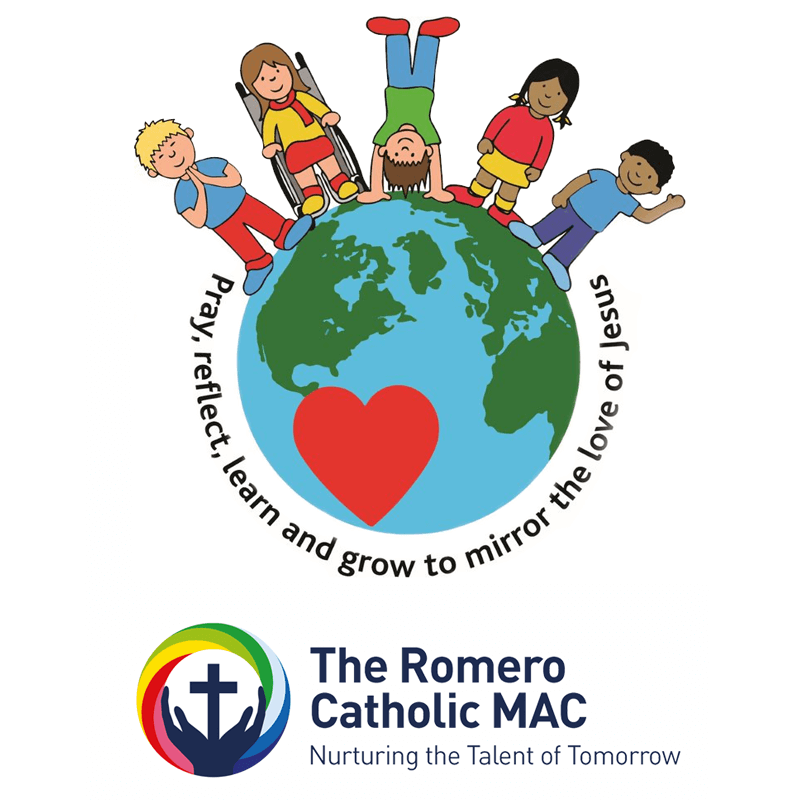 ParentMail – a huge success at St Marie’s RC Primary School! 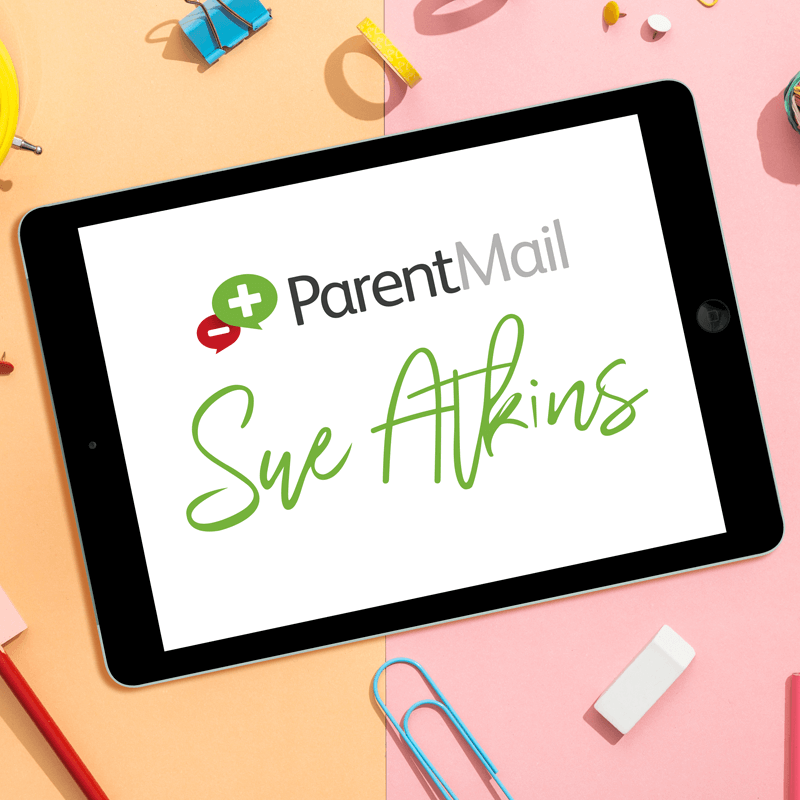 We spoke with St Marie’s school secretary to discover how they have got an impressive 98% parent uptake on ParentMail. 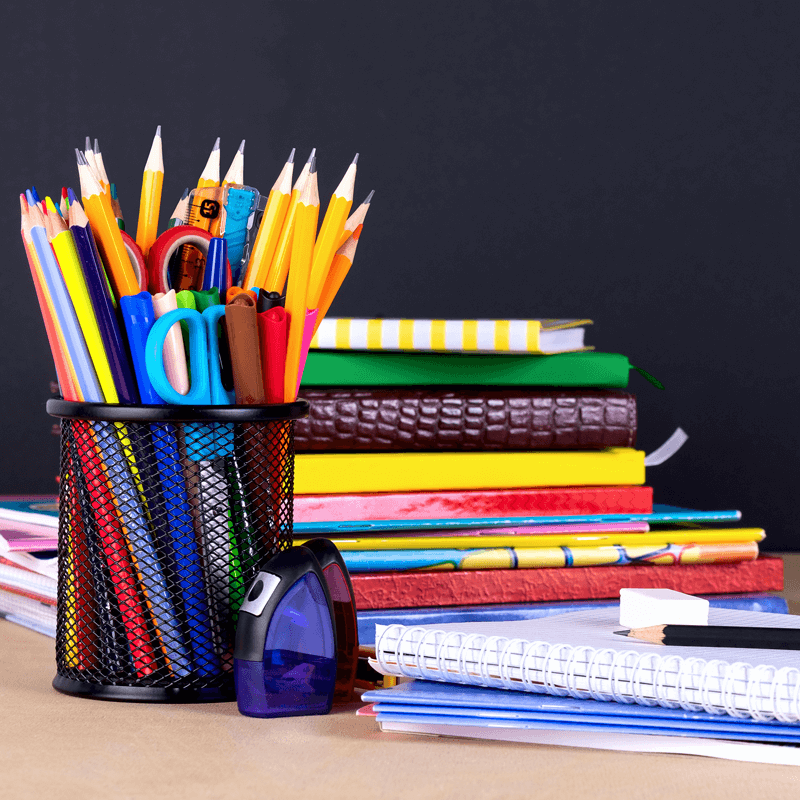 Pupil post: the transference of letters, forms and permission slips between school and home in students’ school bags, pockets – or not at all as the case may sometimes be! 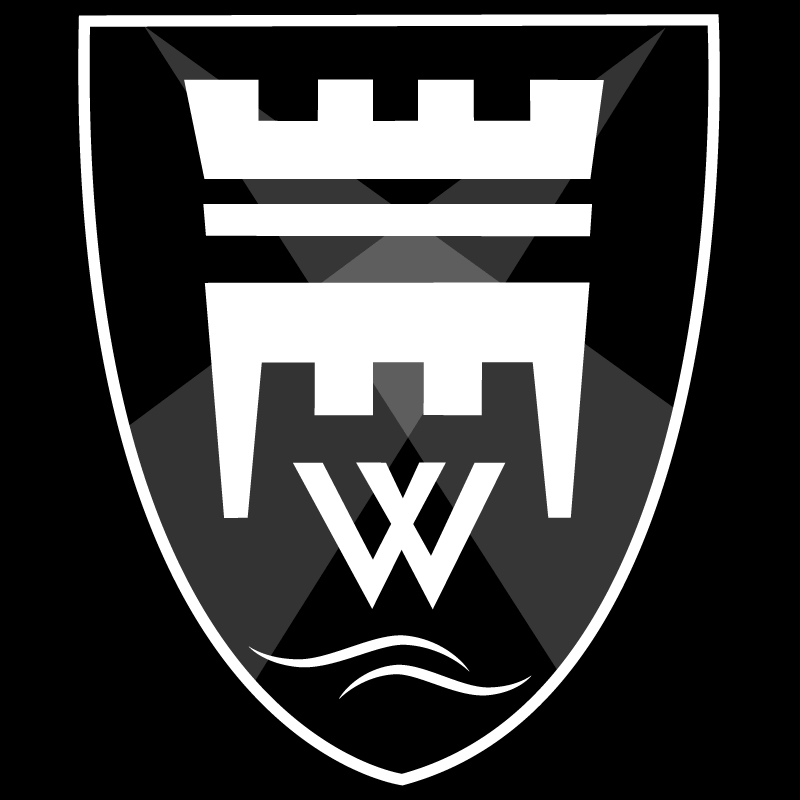 Swavesey Village College improved communications using ParentMail and was given an all-round ‘Outstanding’ Ofsted report in Spring 2011. Copyright © 123Comms Ltd 2019. All rights reserved. Data Protection No: Z8936949. For more information on ParentMail, simply complete the fields below and we’ll be in touch. Parents – We are unable to accept support requests through this form.